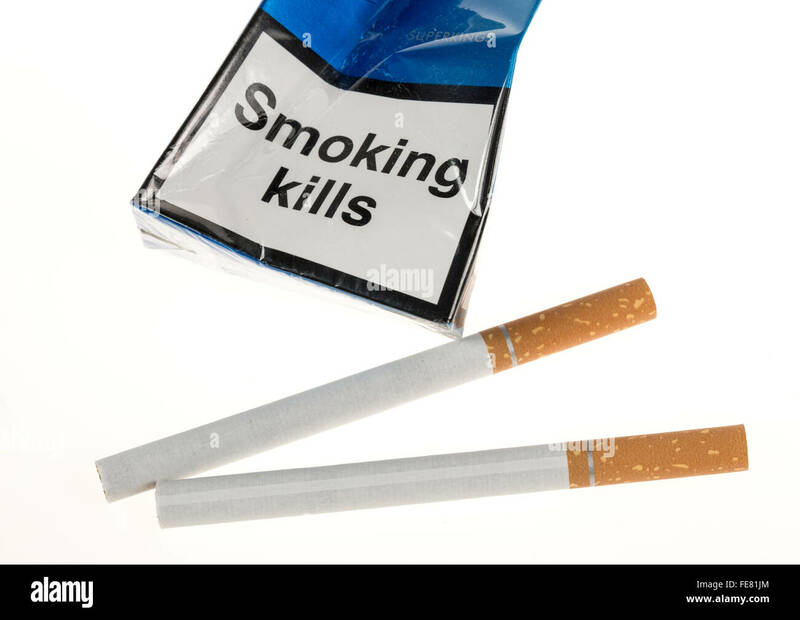 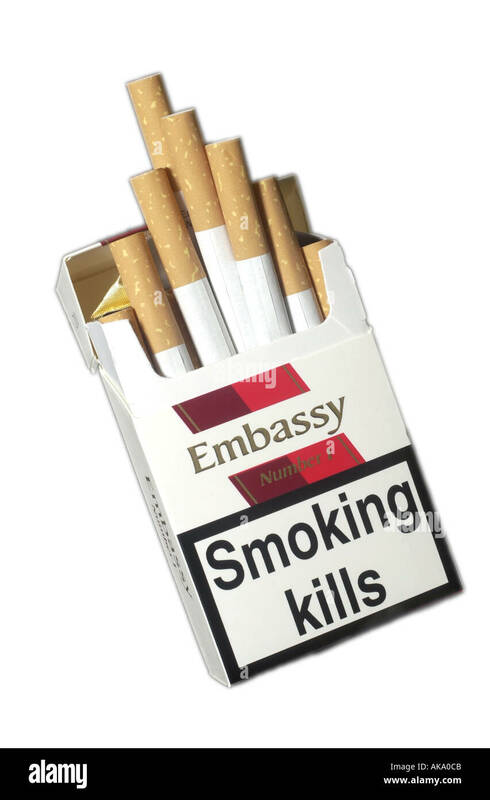 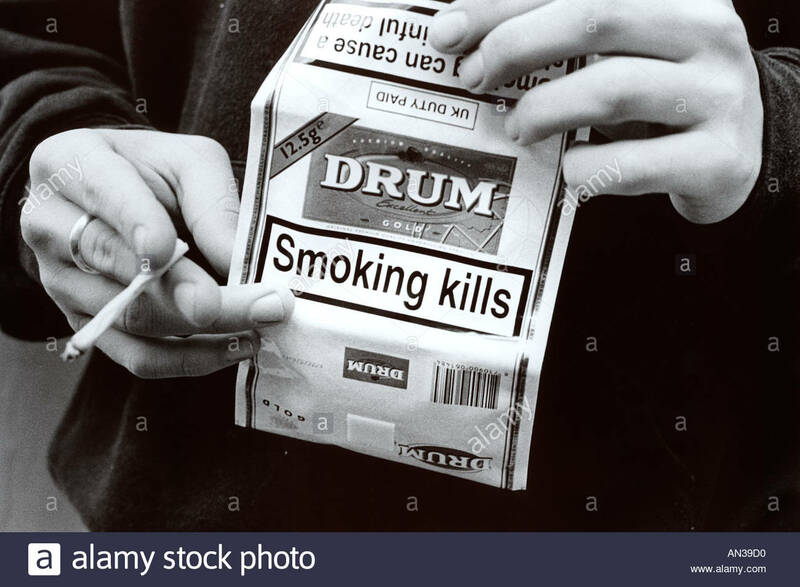 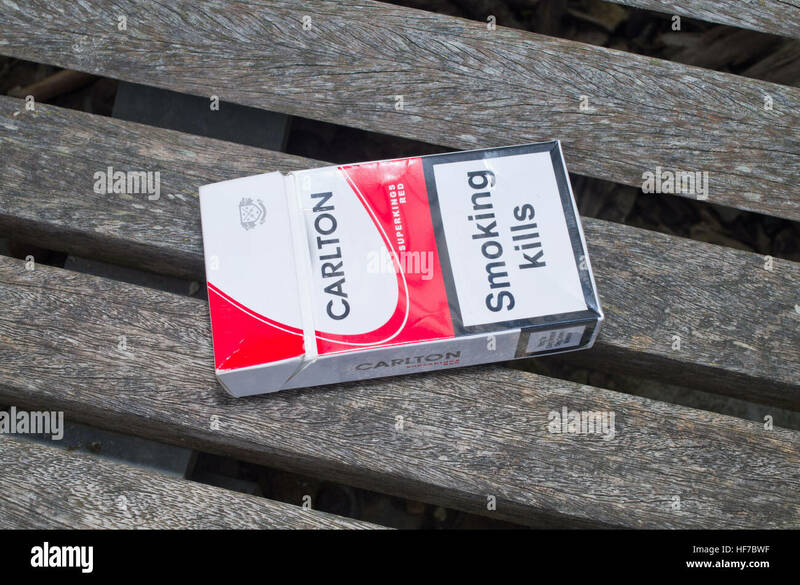 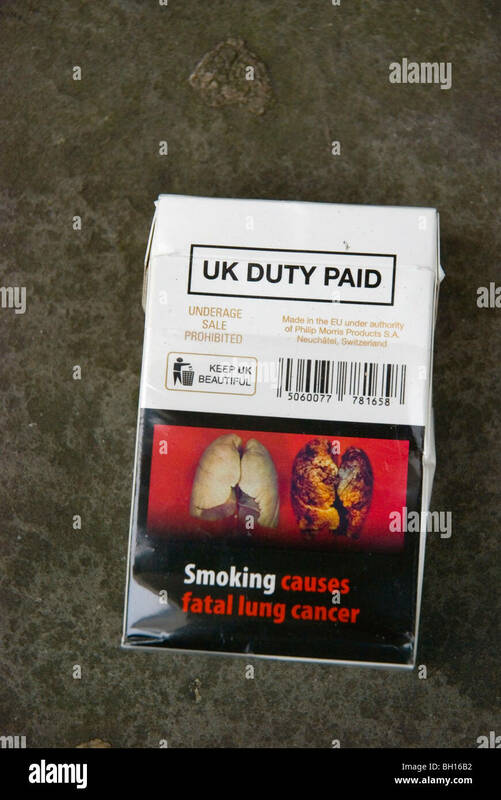 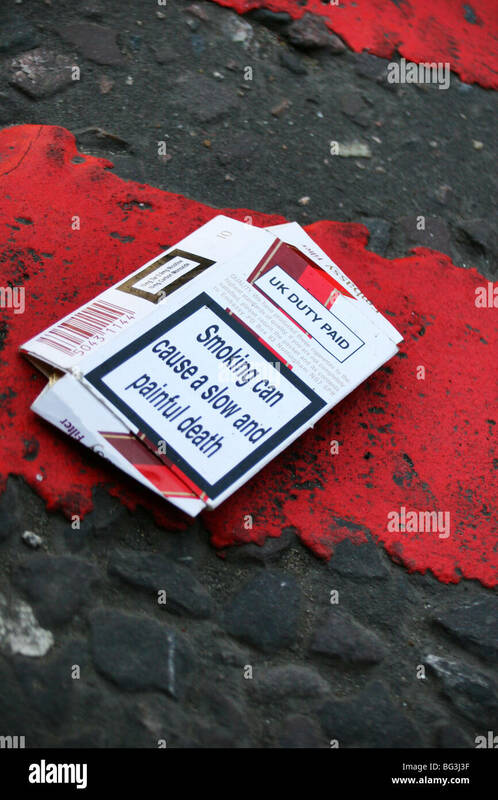 Smoking clogs your arteries health warning on an empty discarded packet of JPS Players cigarettes. 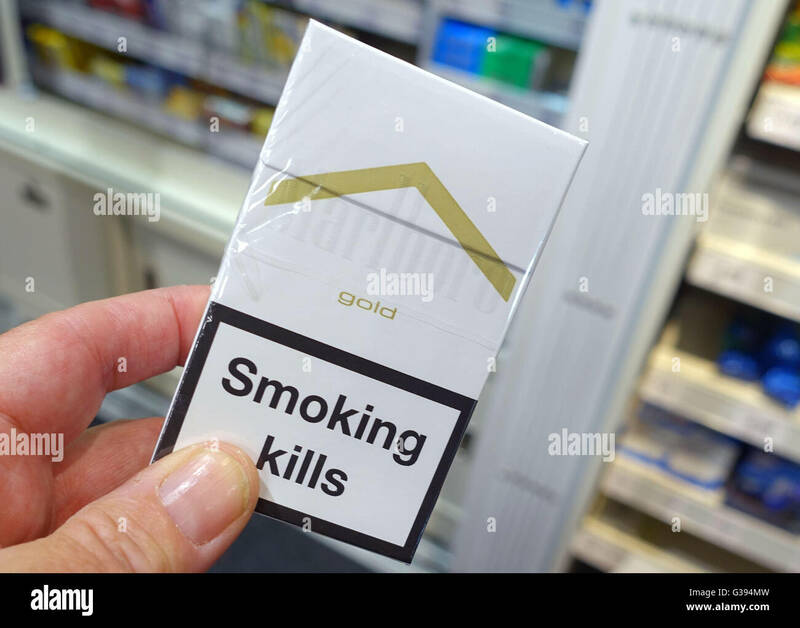 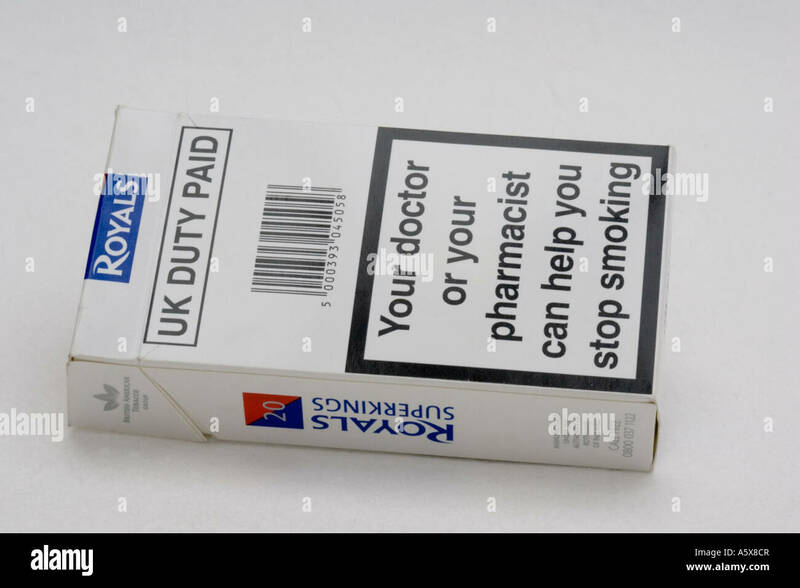 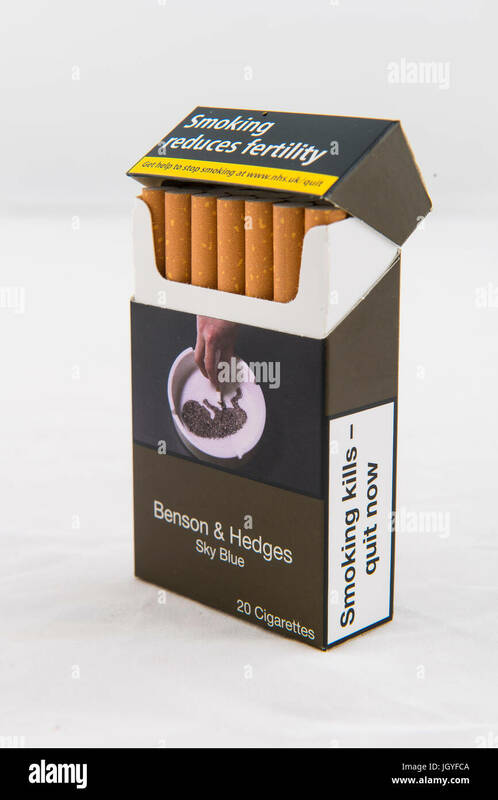 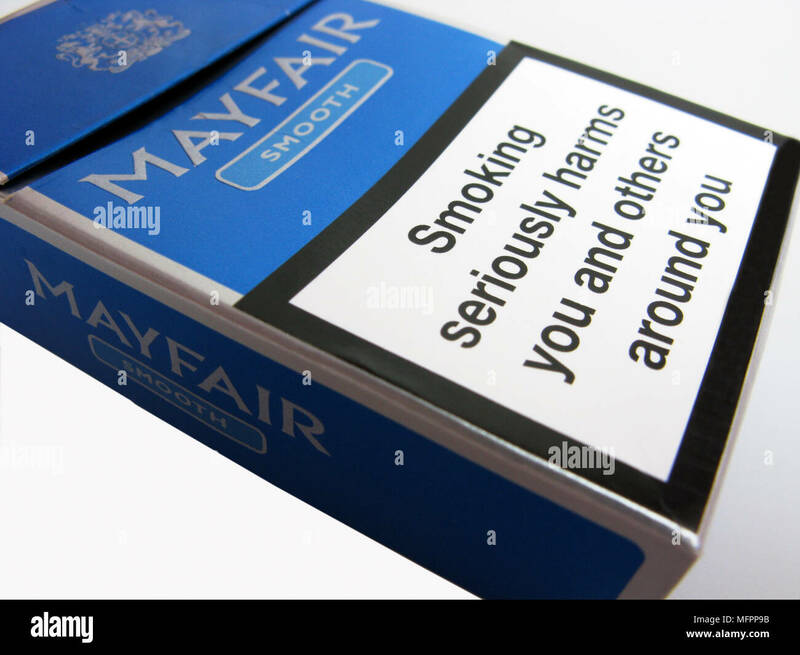 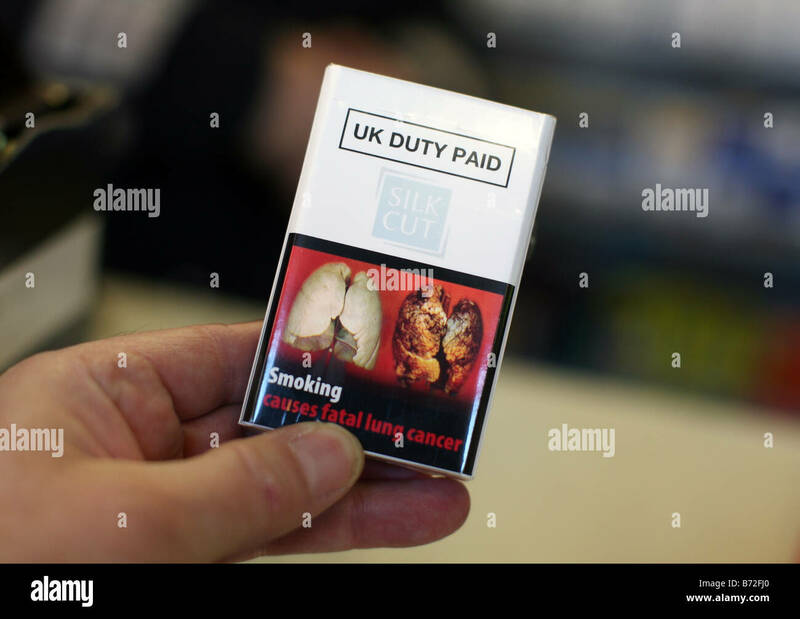 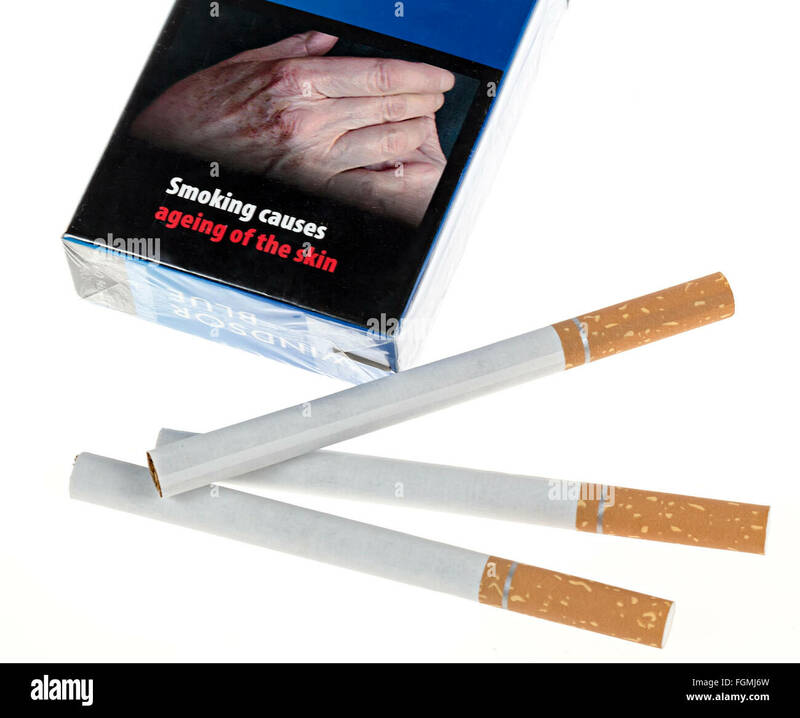 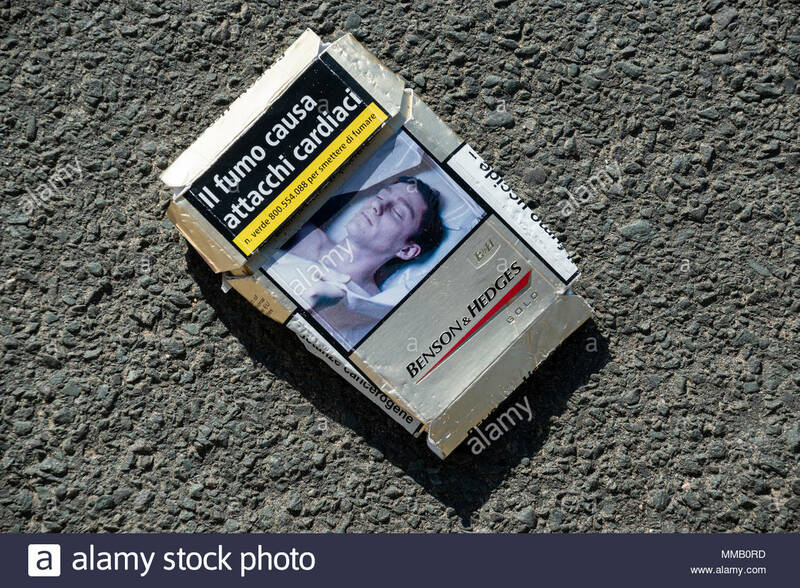 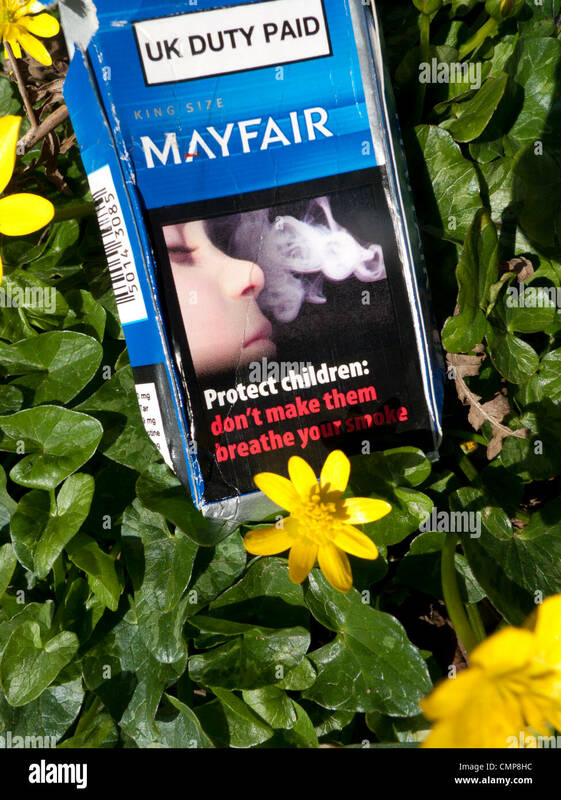 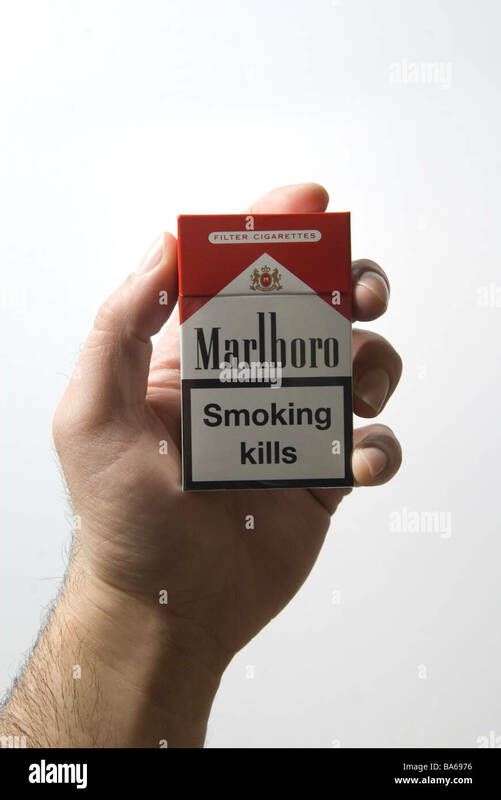 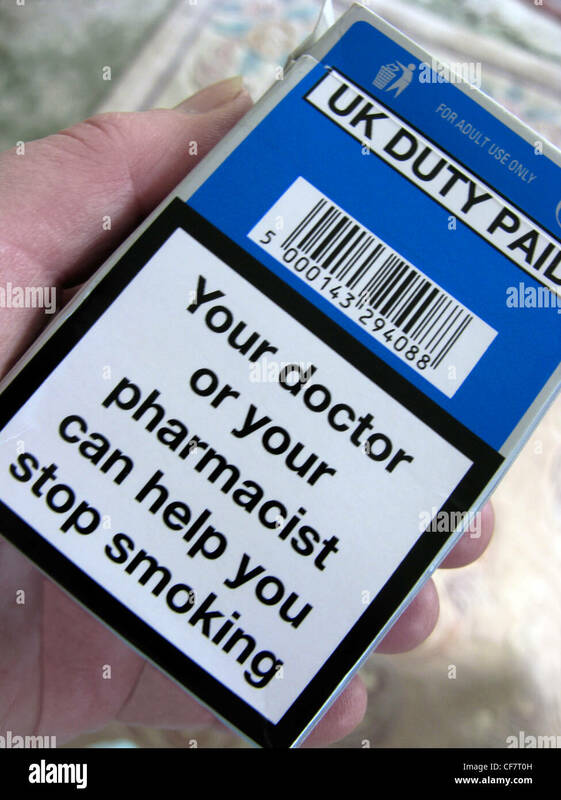 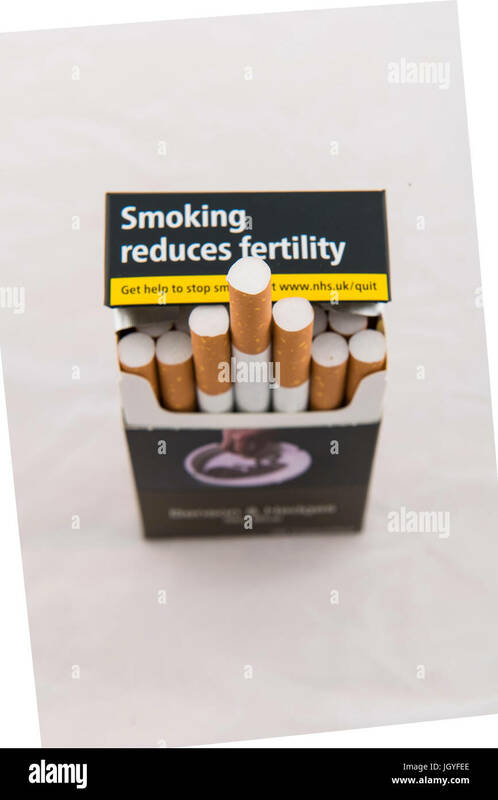 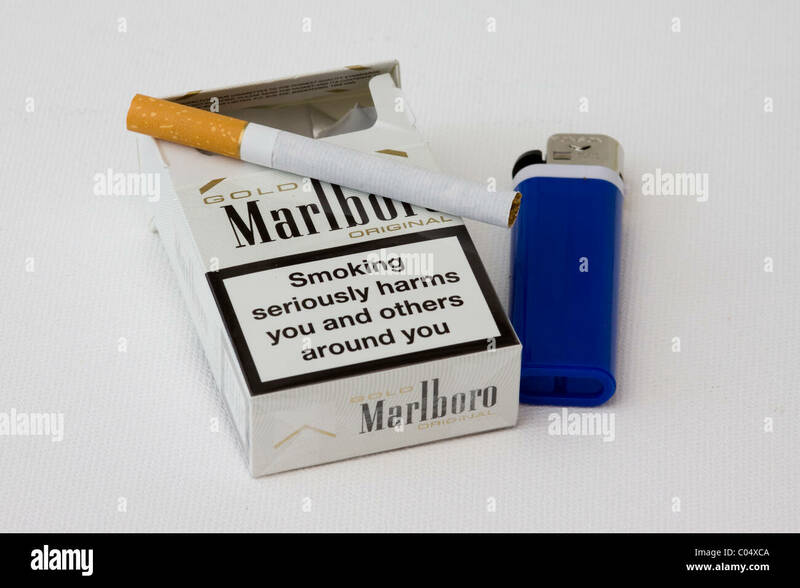 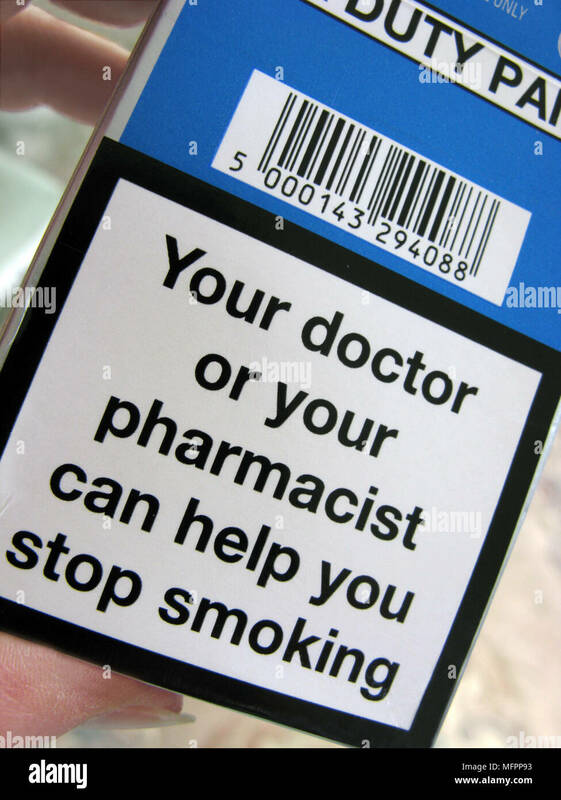 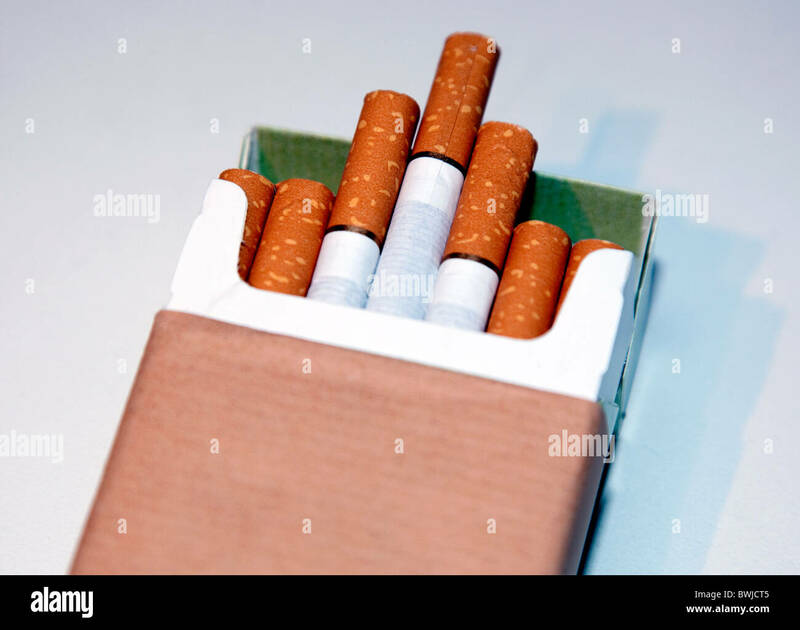 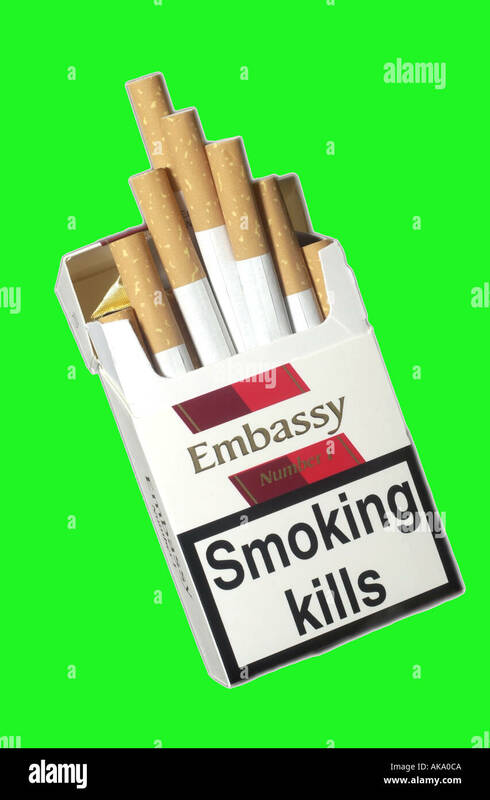 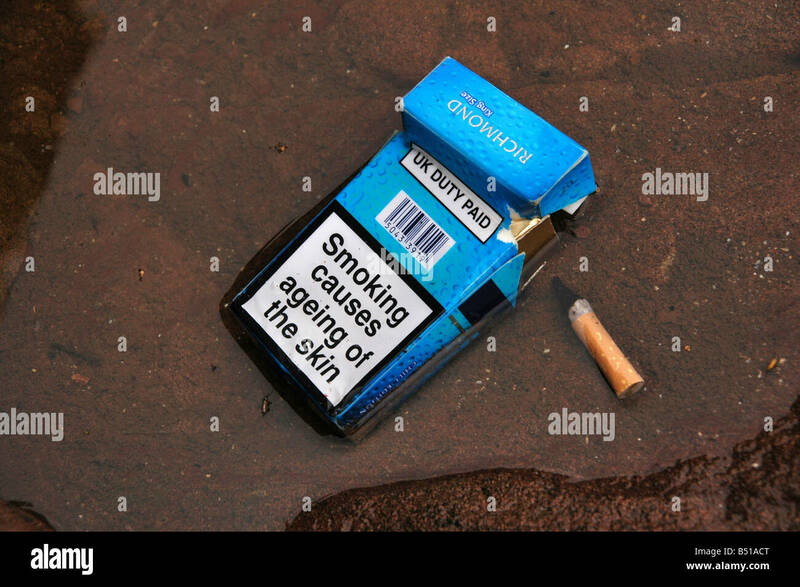 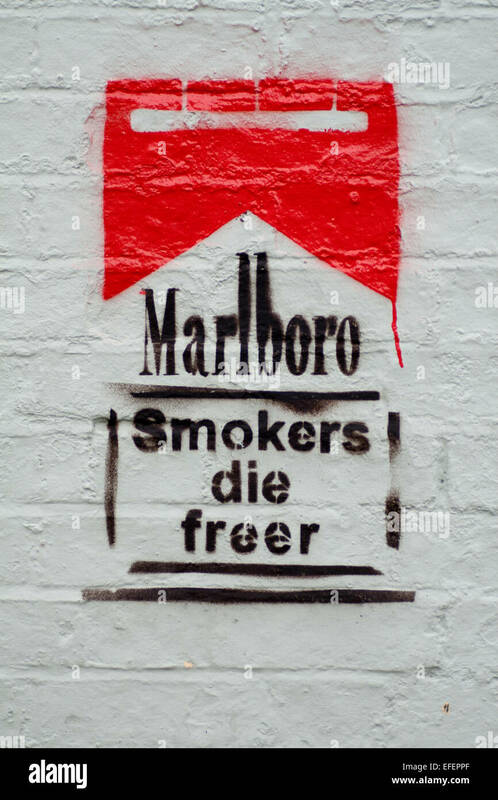 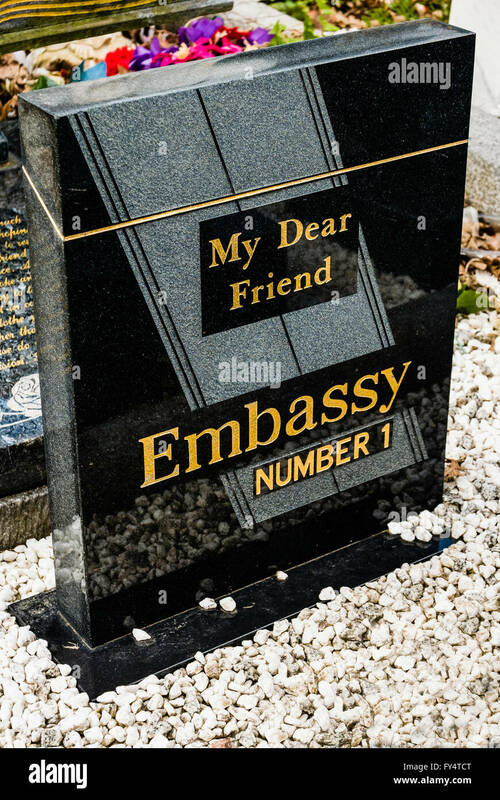 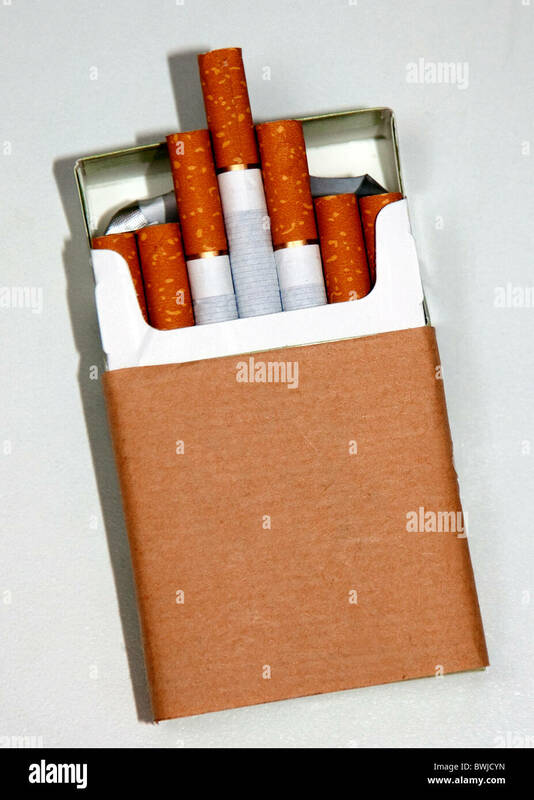 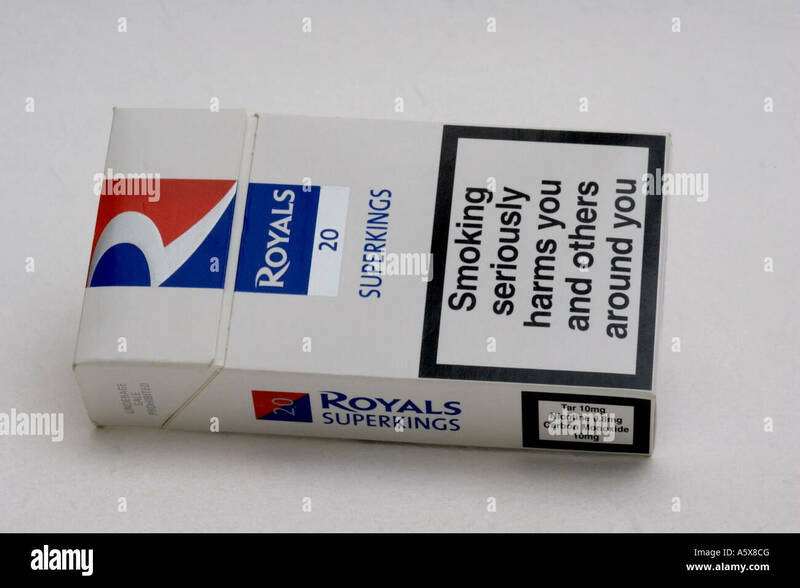 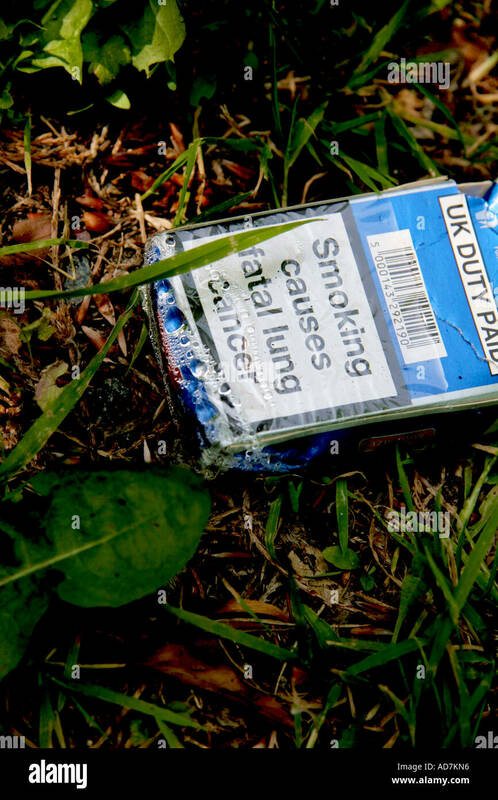 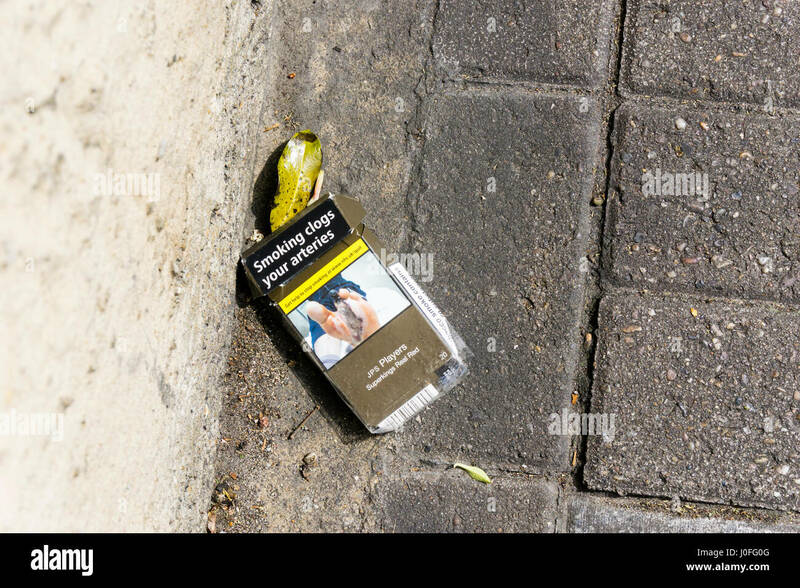 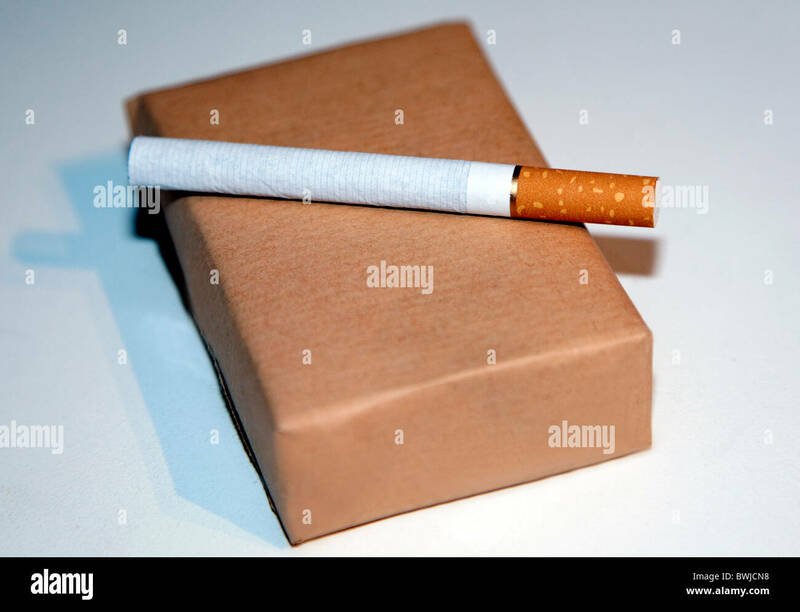 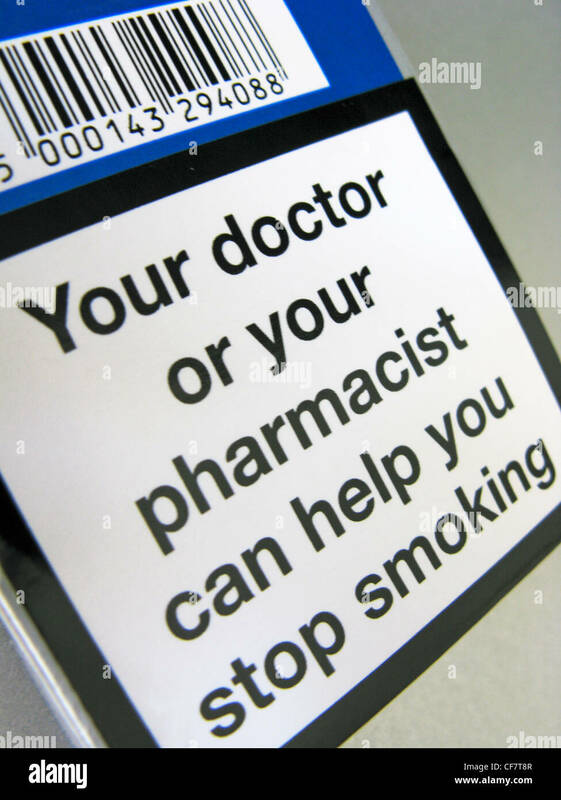 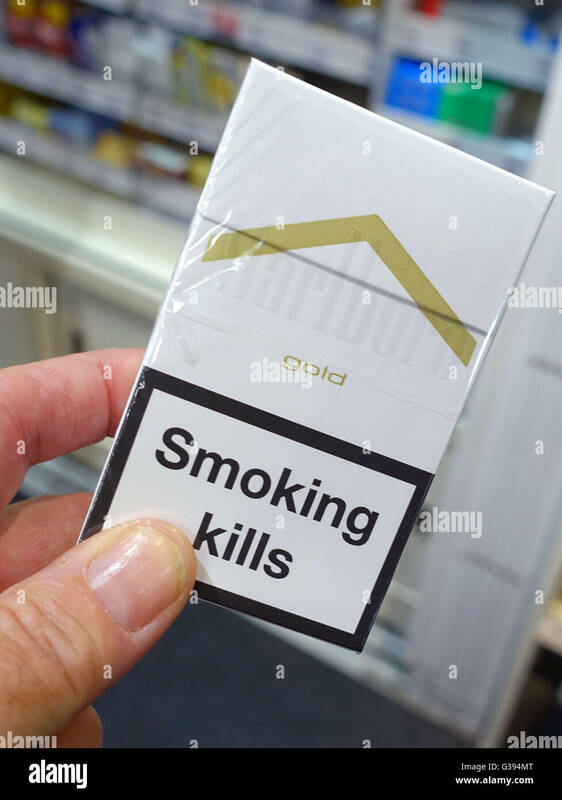 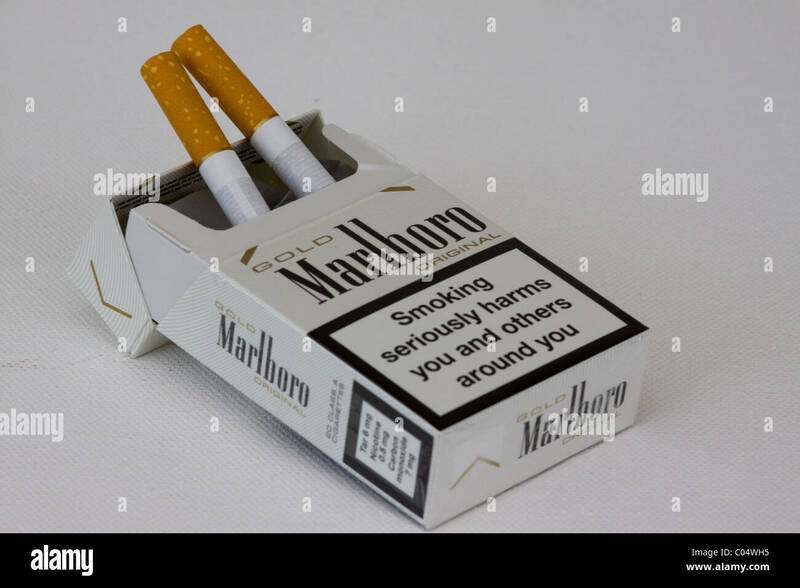 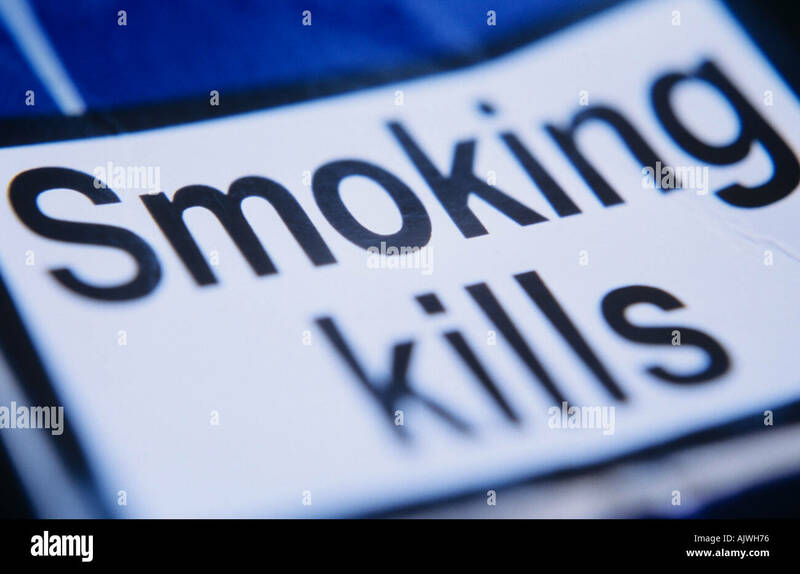 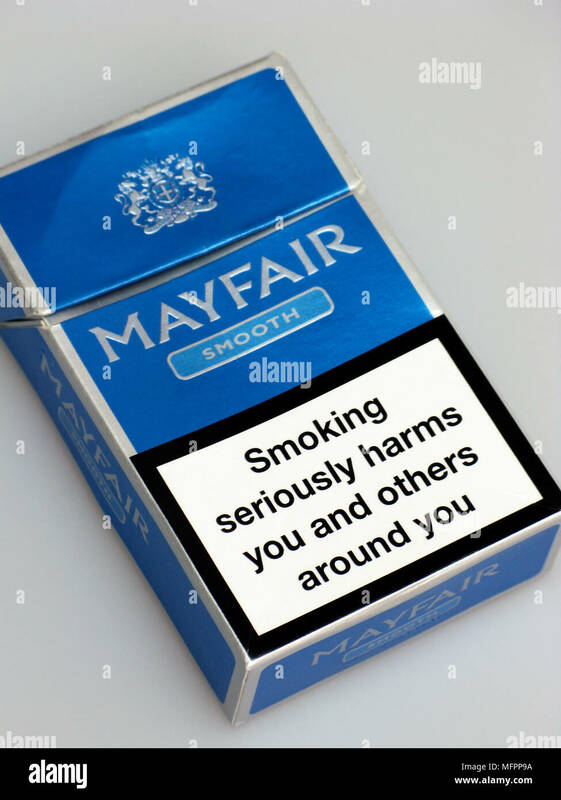 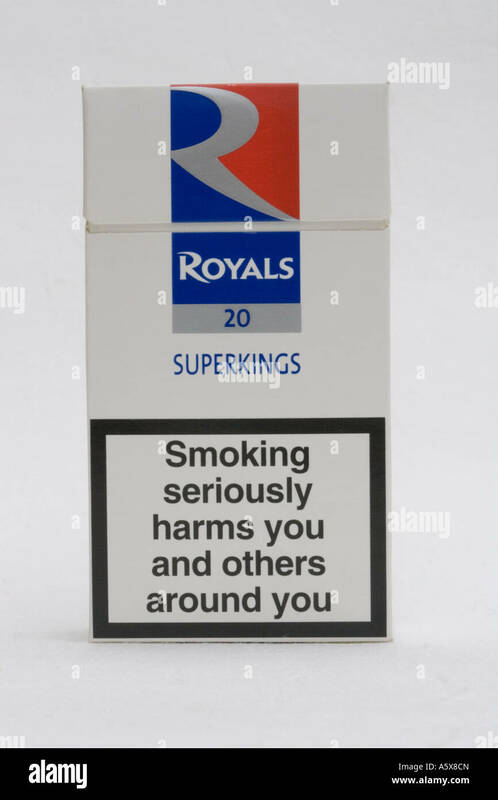 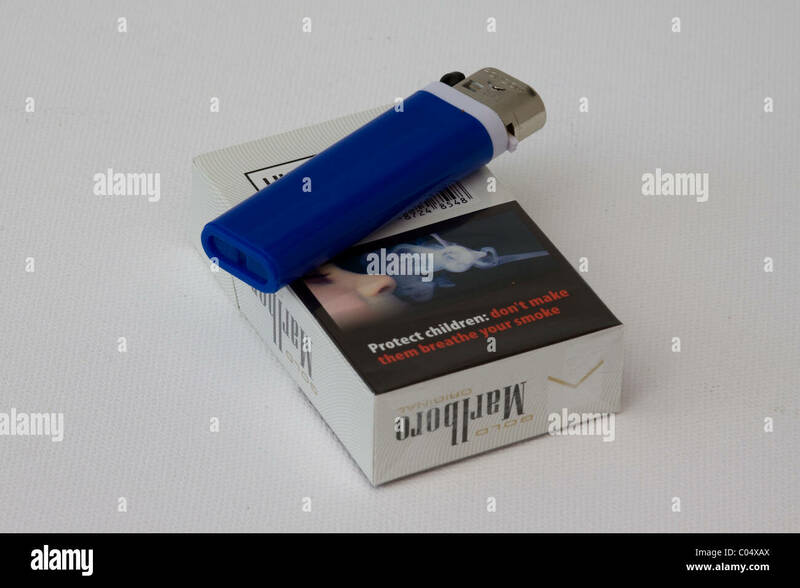 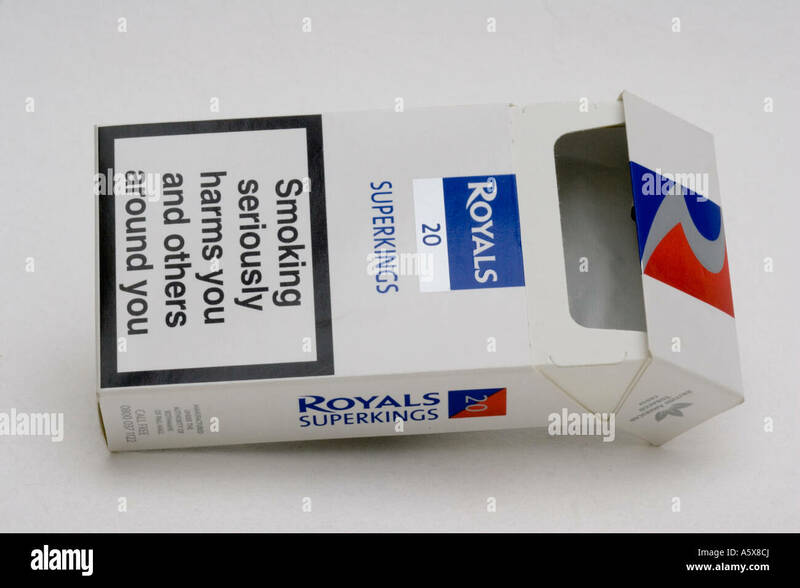 An empty packet of cigarettes with the warning of 'smoking causes ageing of the skin' with a smoked stub lying beside it. 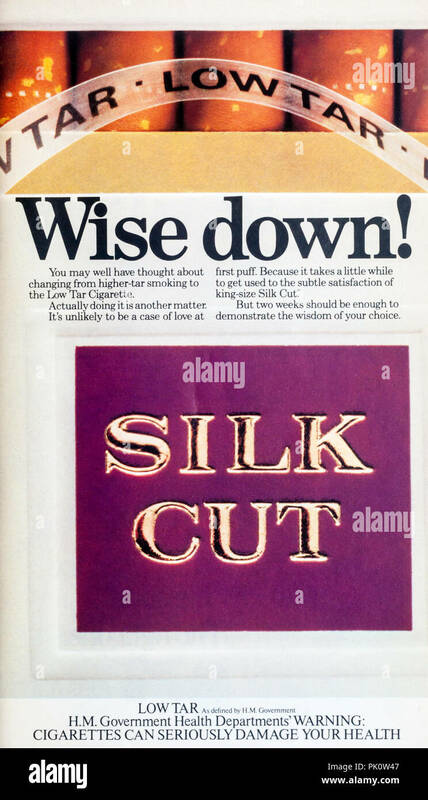 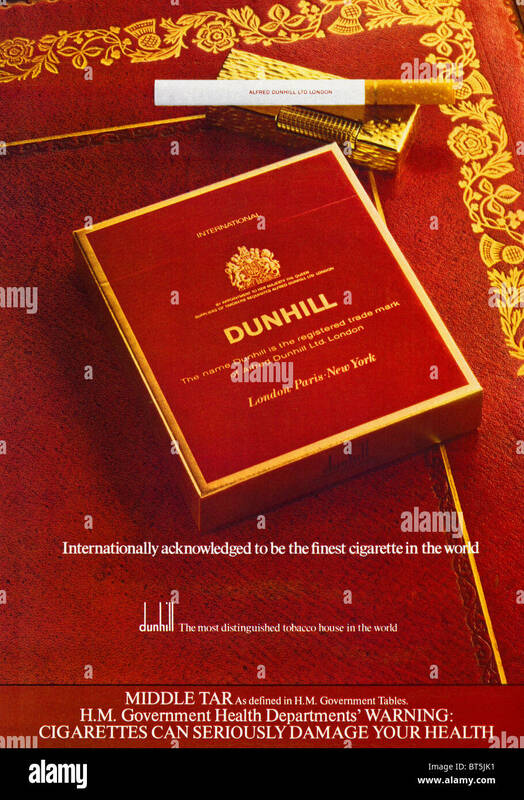 1980s advertisement advertising Silk Cut cigarettes. 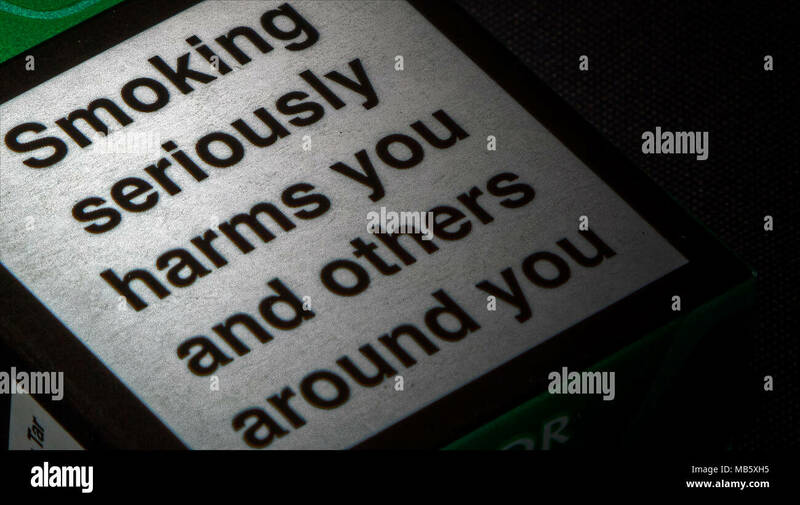 With government health warning. 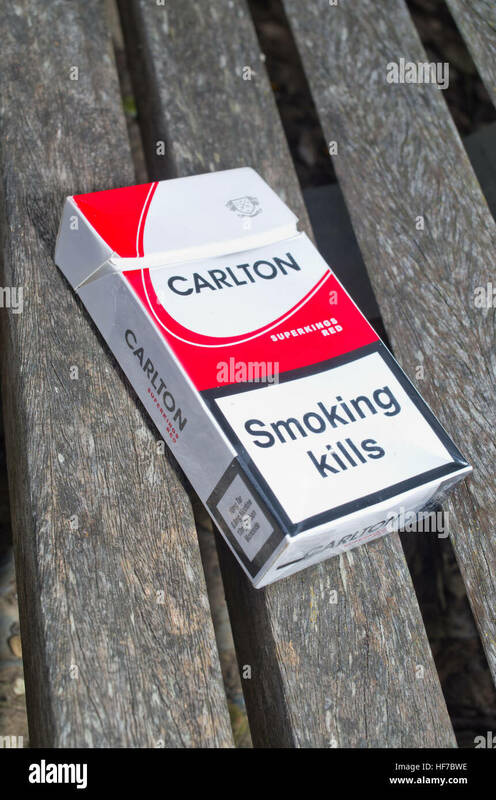 Health warning against smoking on a crushed packet of cigarettes on a red line. 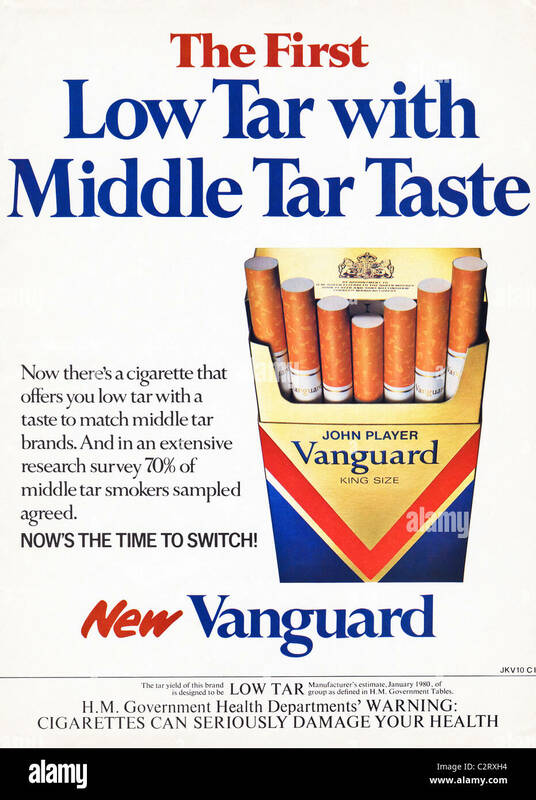 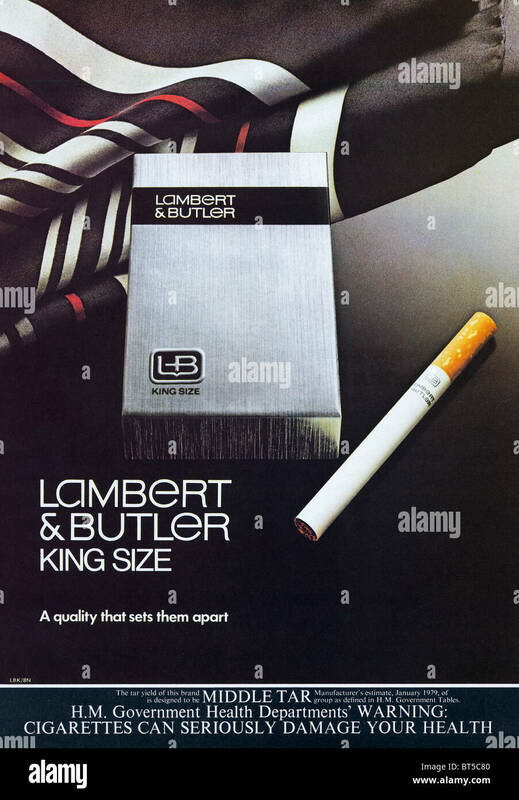 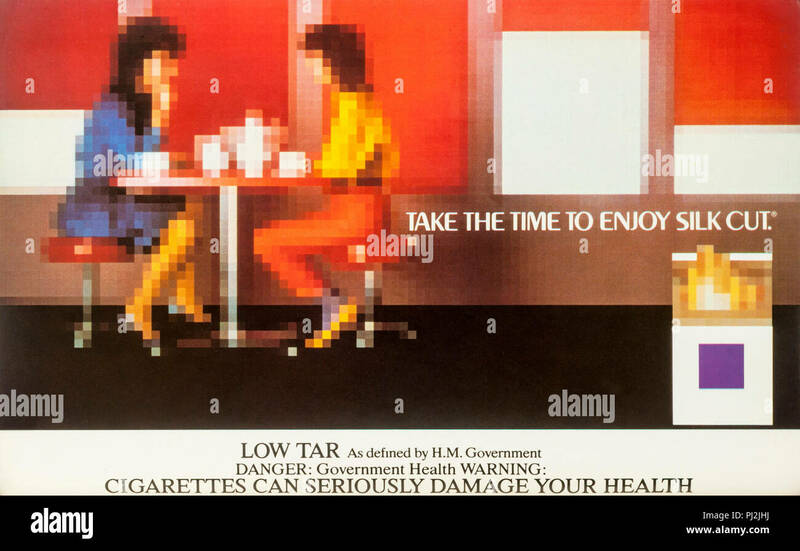 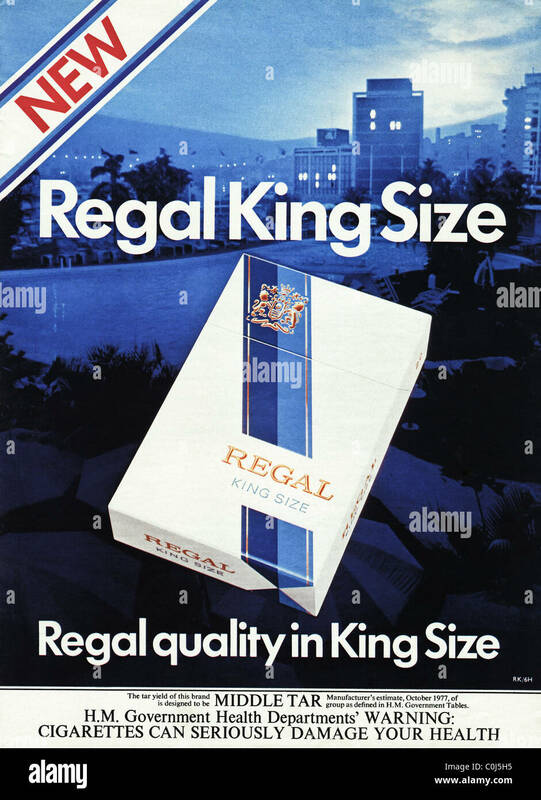 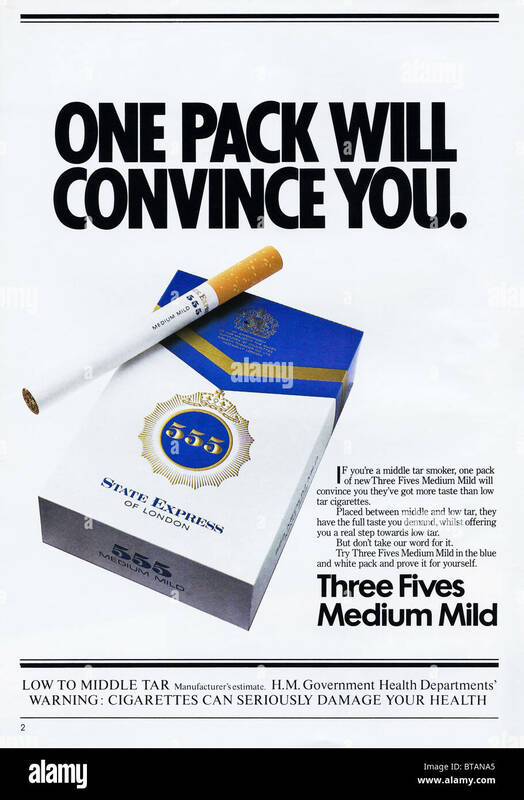 1980s advertisement advertising Low Tar Silk Cut cigarettes. 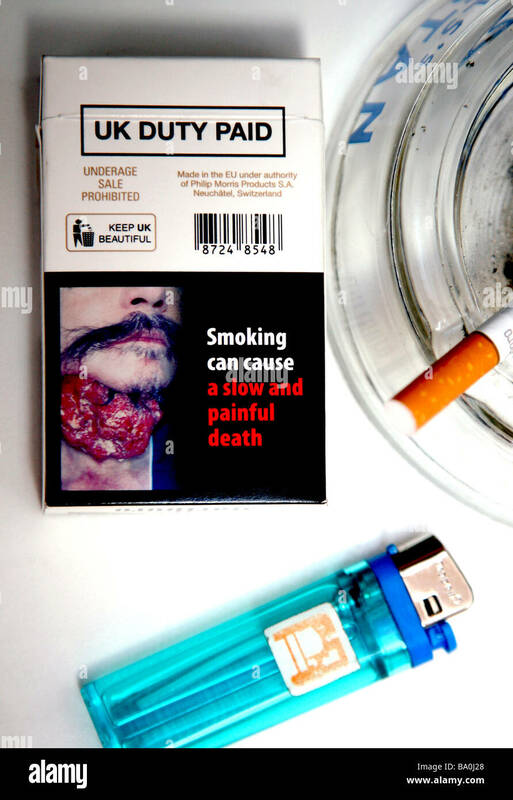 With government health warning. 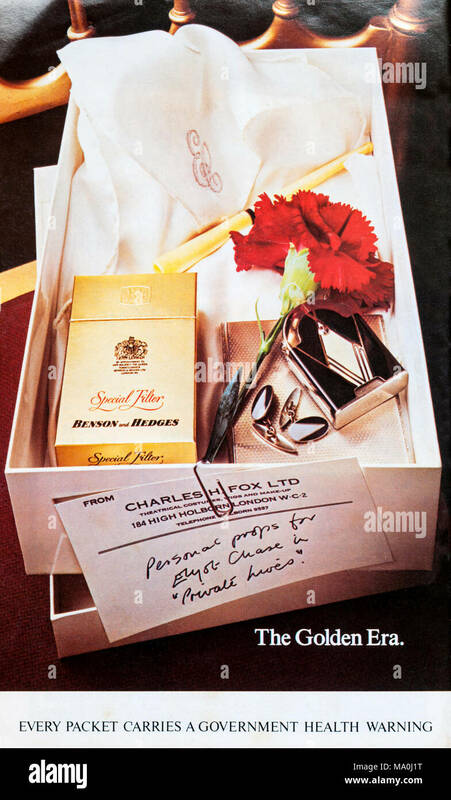 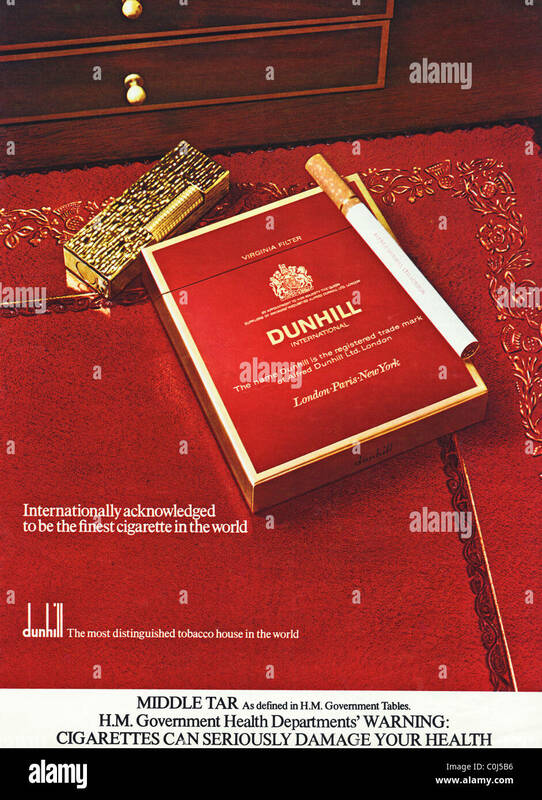 1970s theatre programme advertisement advertising Benson and Hedges Special Filter cigarettes. 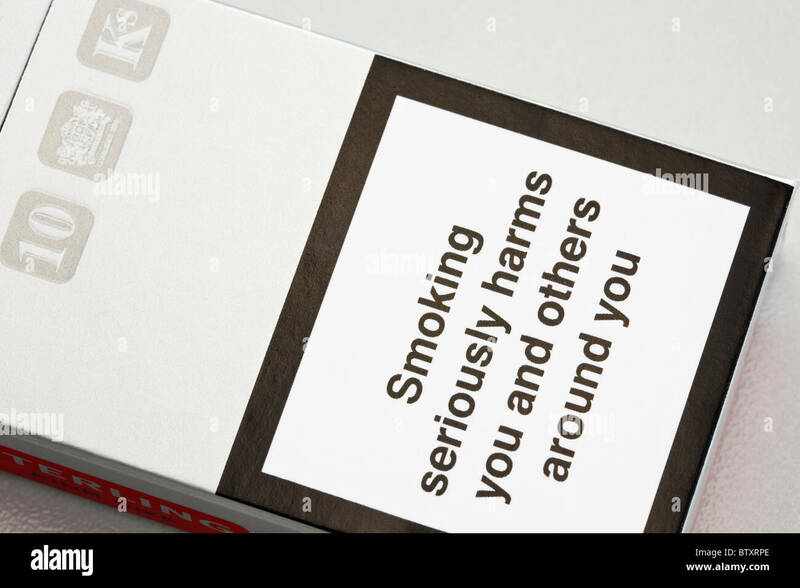 With government health warning. 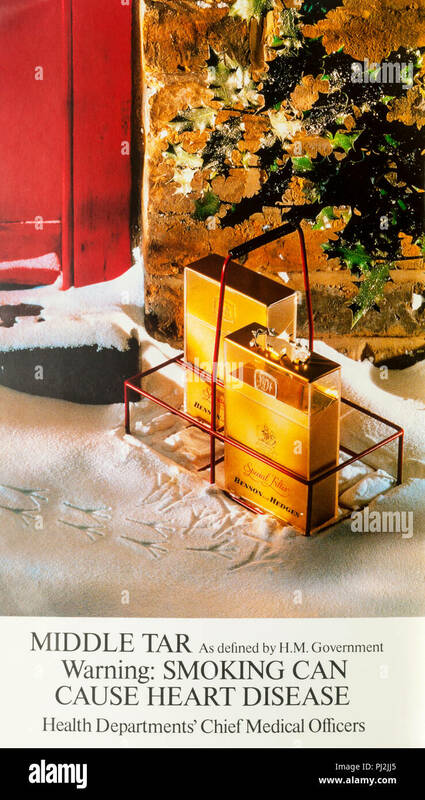 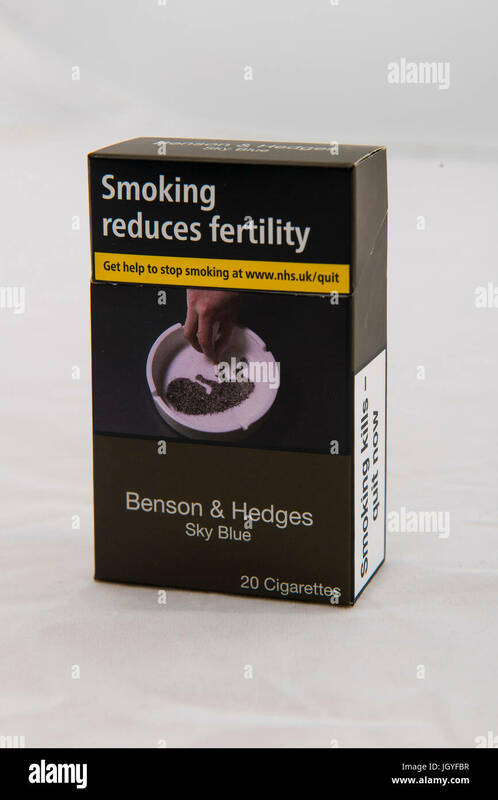 1970s advertisement advertising Benson and Hedges Special Filter cigarettes - ducks. 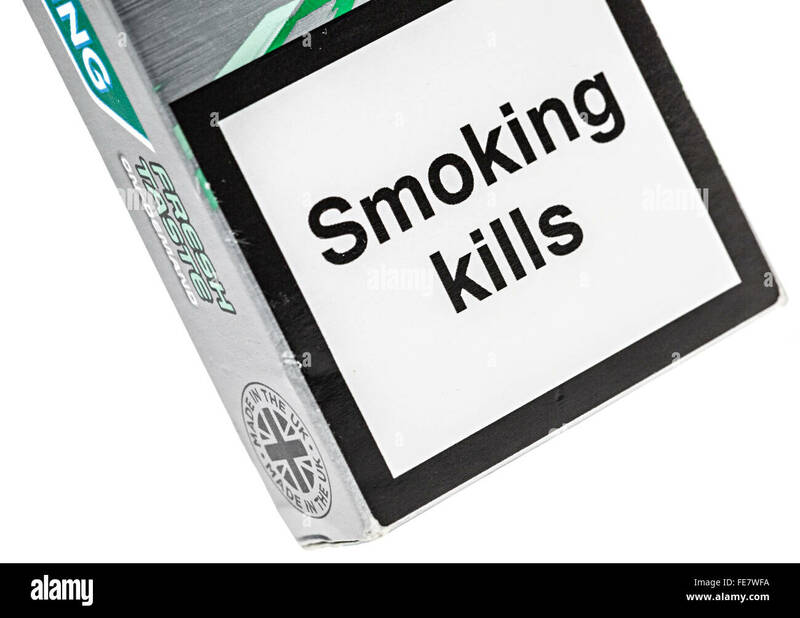 With government health warning. 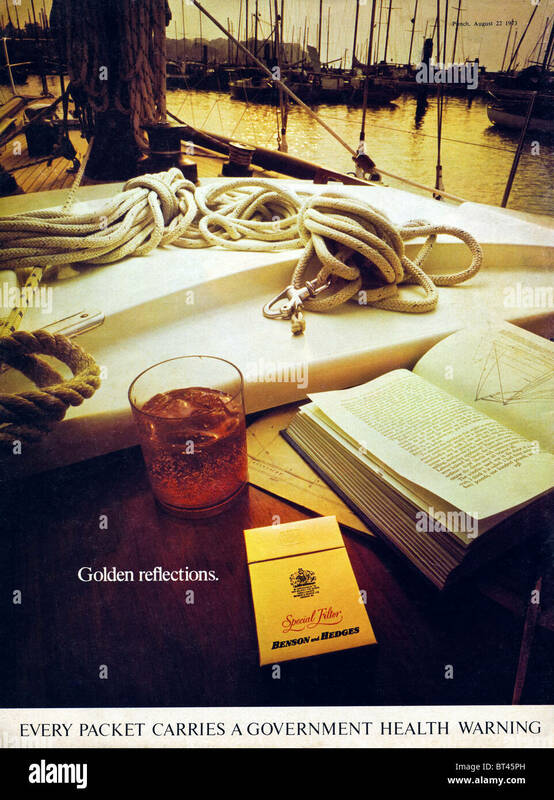 1970s advertisement advertising Benson and Hedges Special Filter cigarettes - shaving. 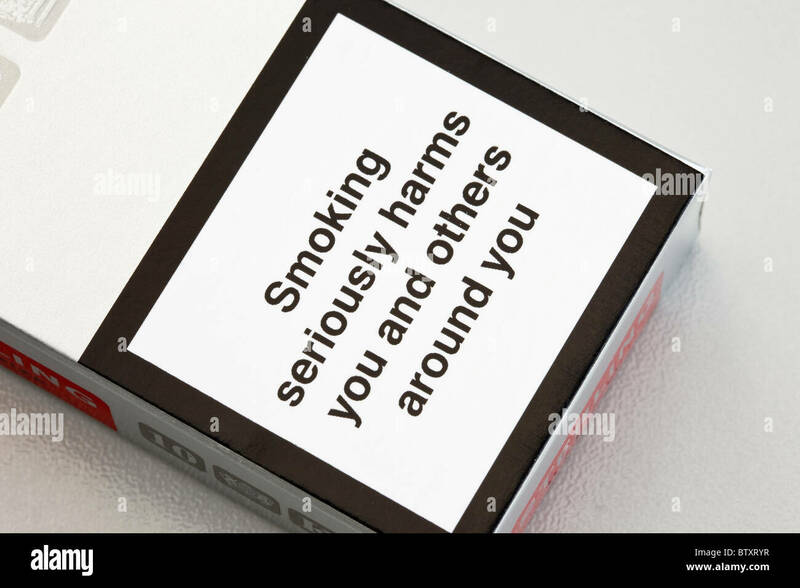 With government health warning. 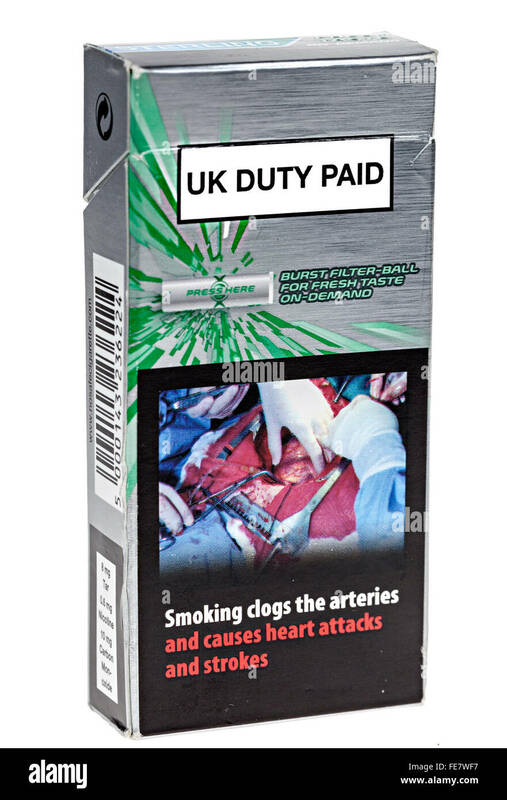 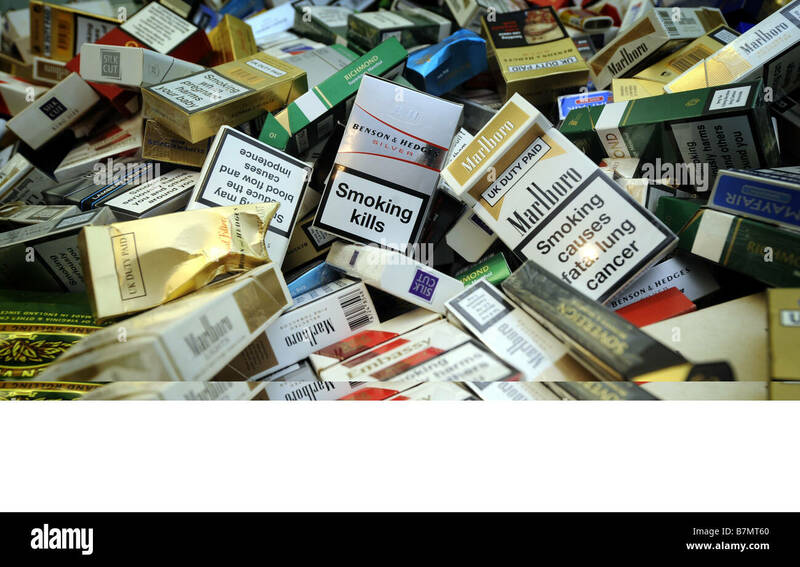 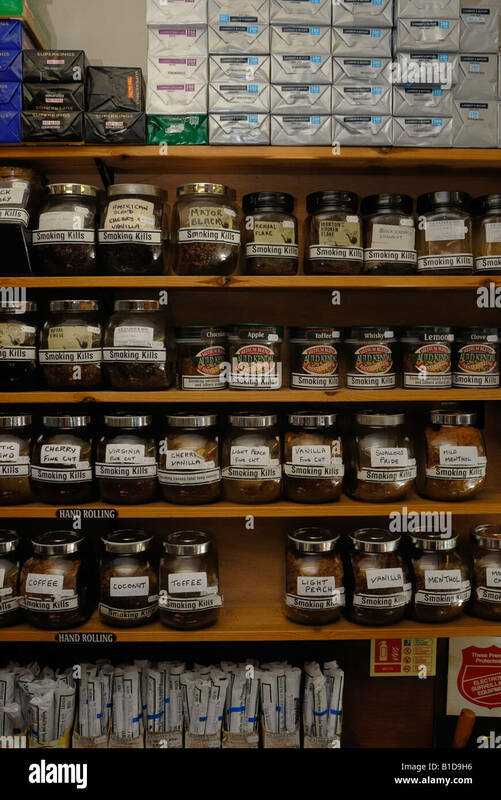 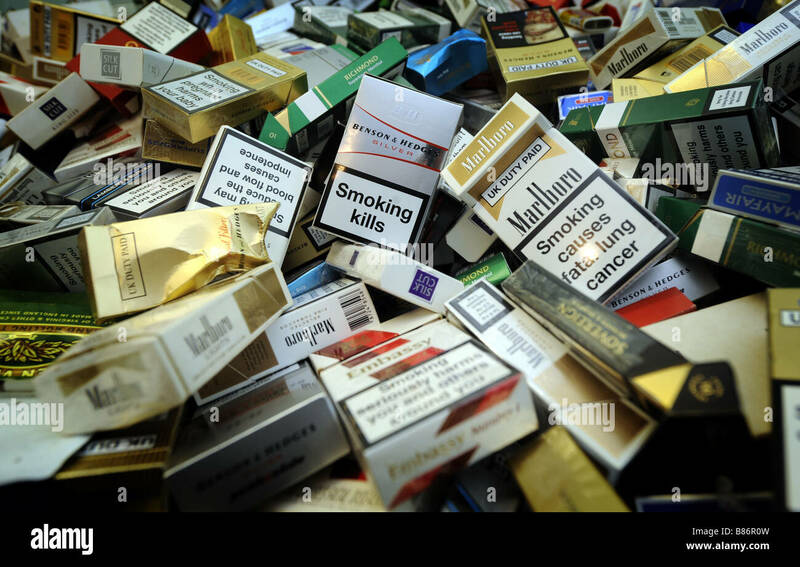 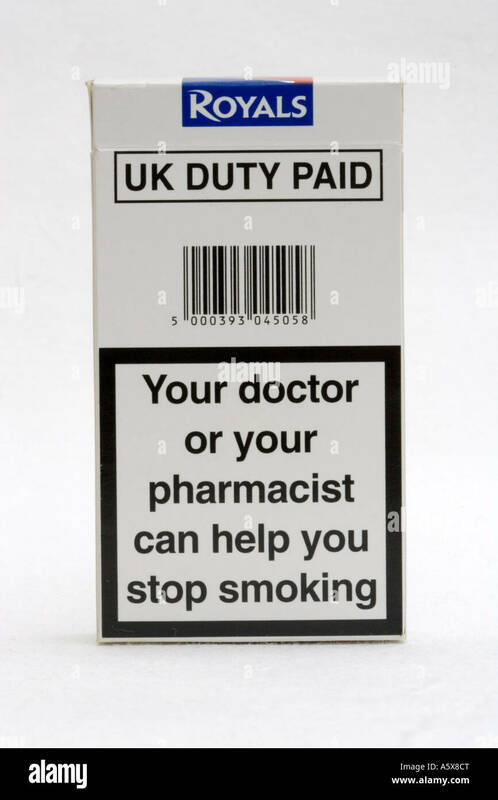 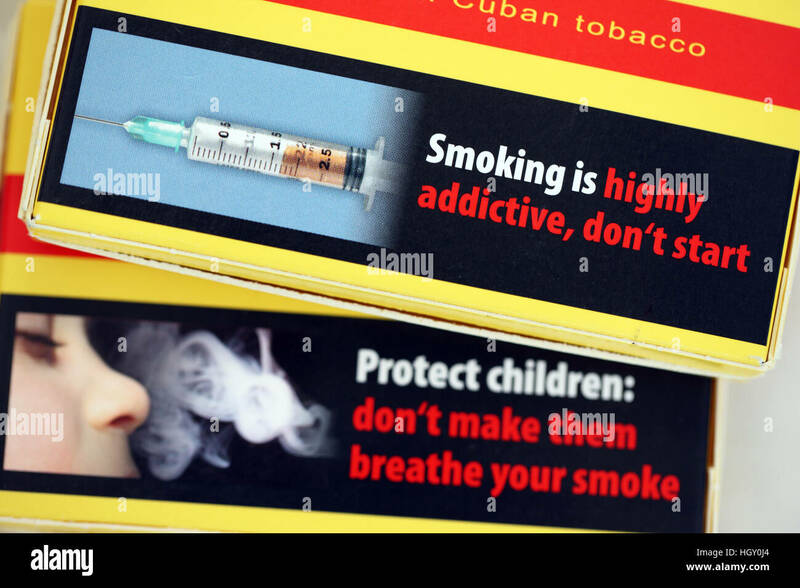 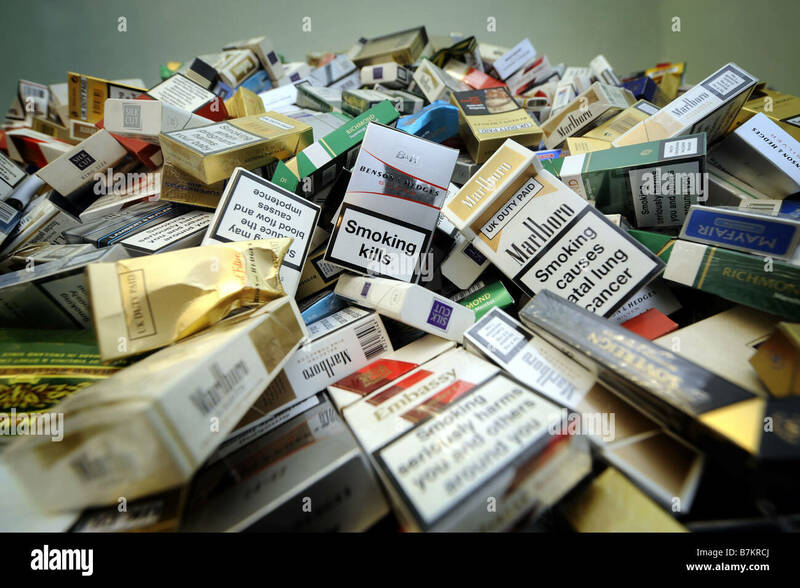 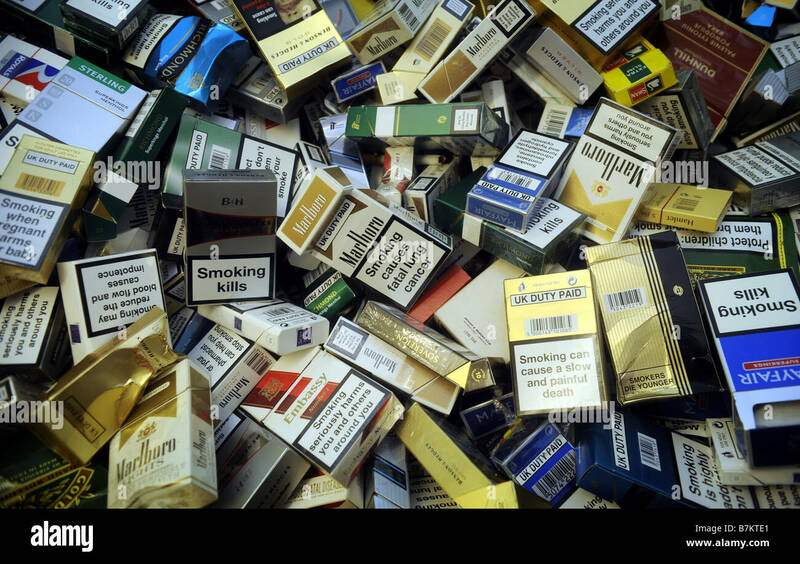 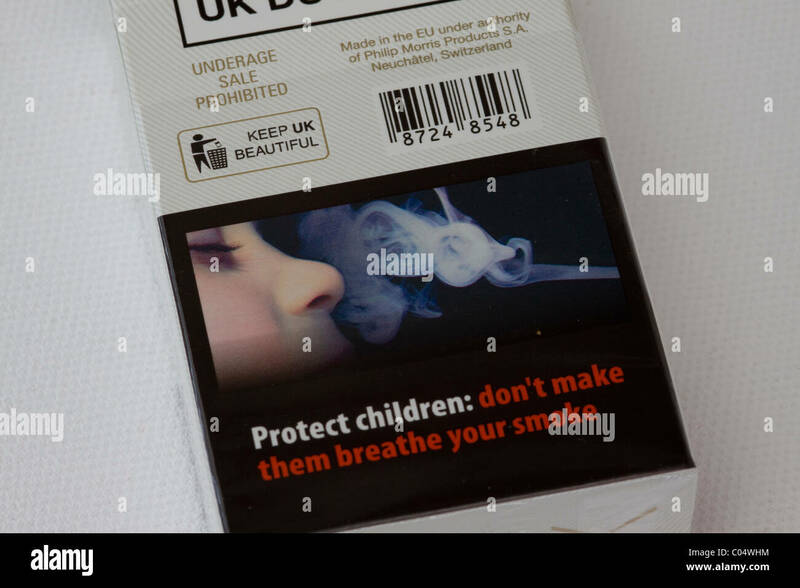 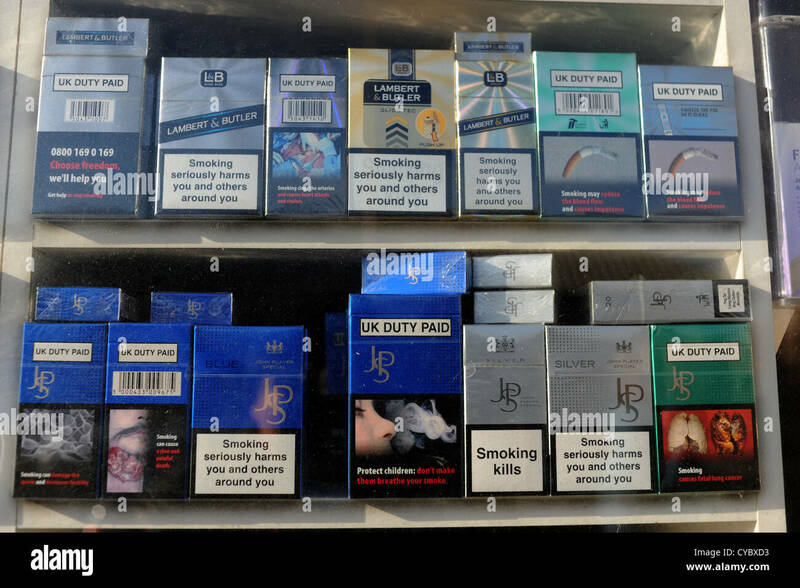 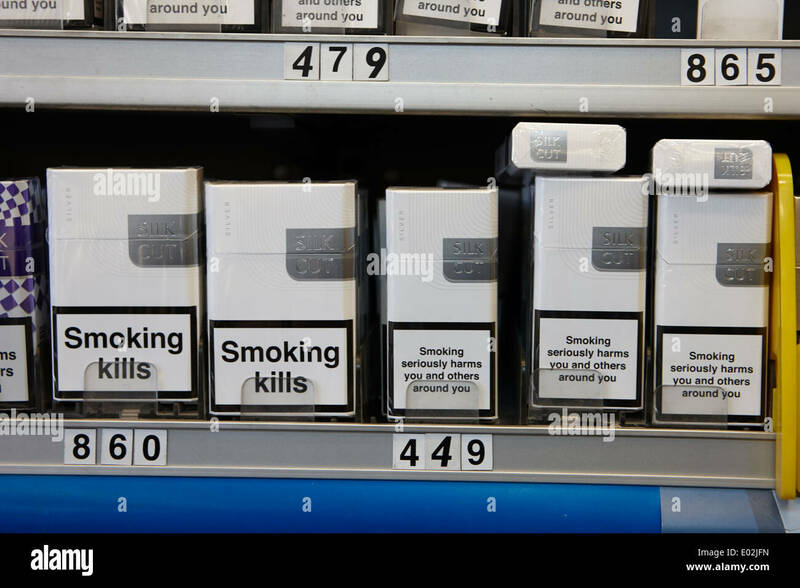 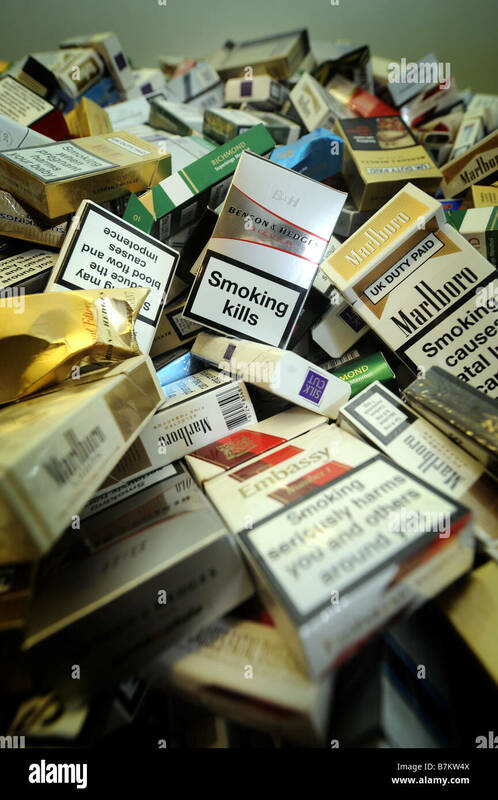 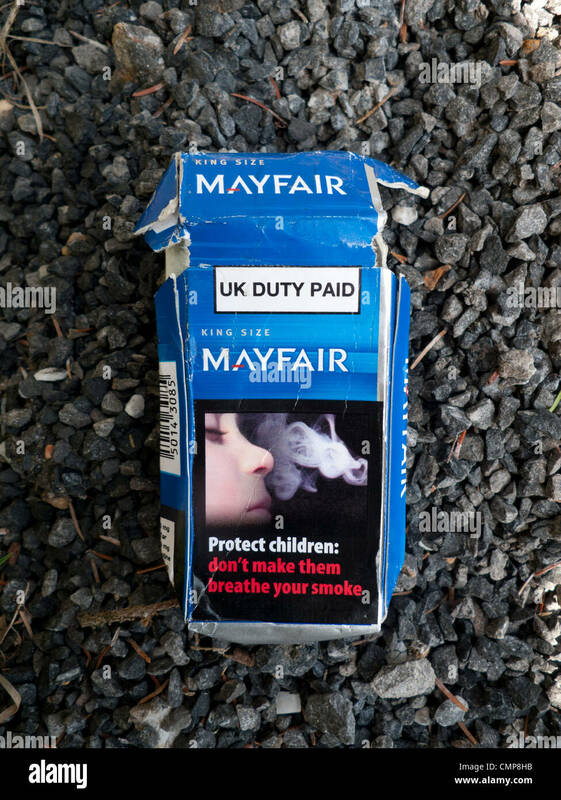 VARIOUS DISGARDED UK CIGARETTE PACKETS SHOWING WARNING LABELS. 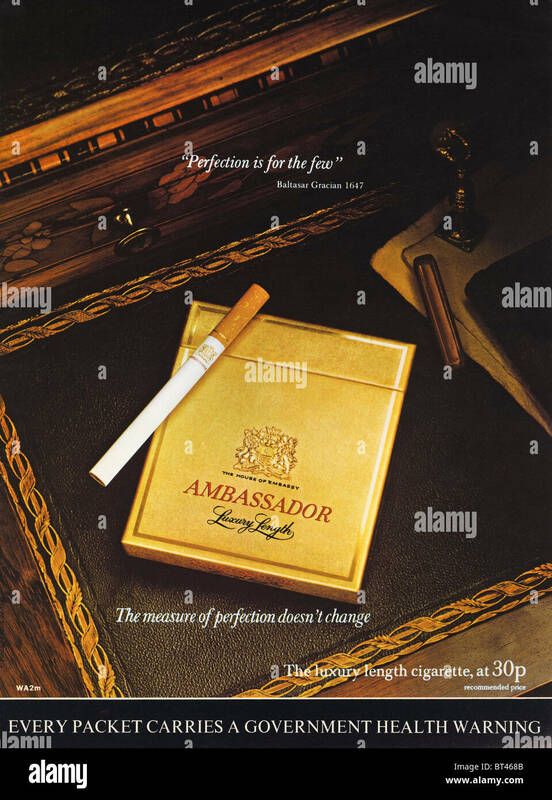 1980s advertisement advertising Benson and Hedges Special Filter cigarettes - easel. 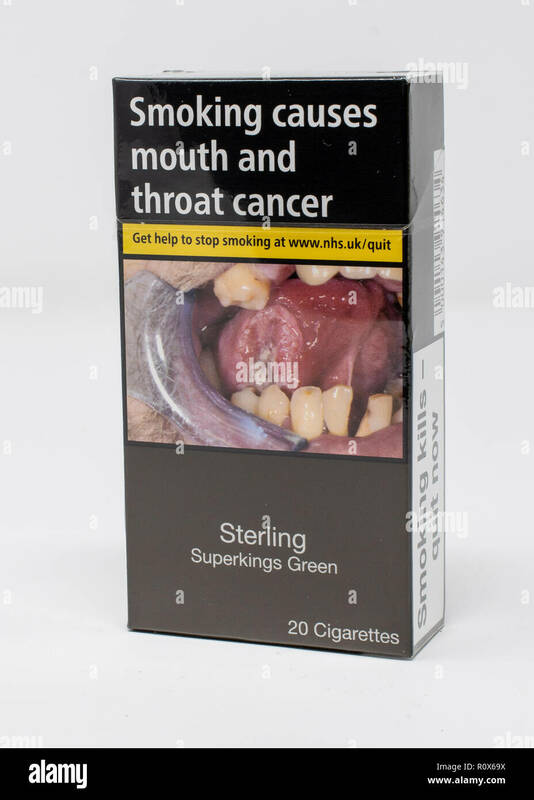 With government health warning. 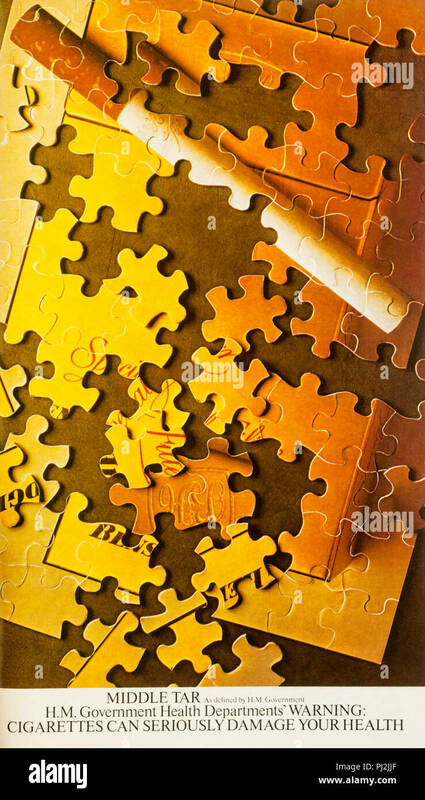 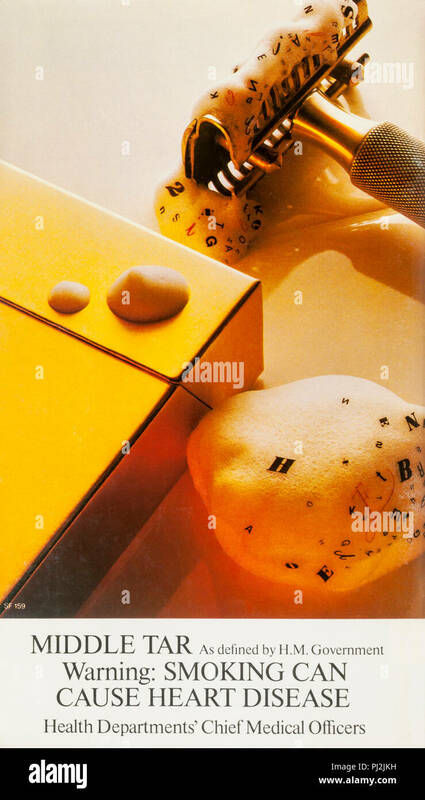 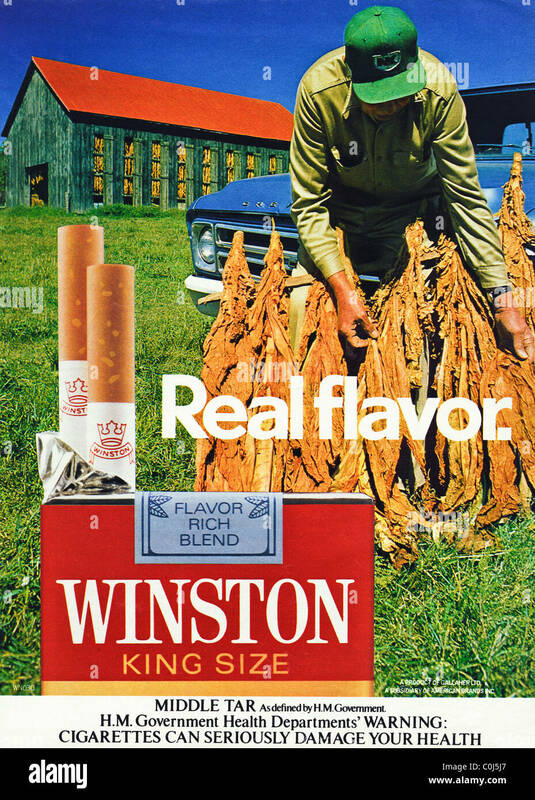 1980s advertisement advertising Benson and Hedges Special Filter cigarettes - jigsaw. 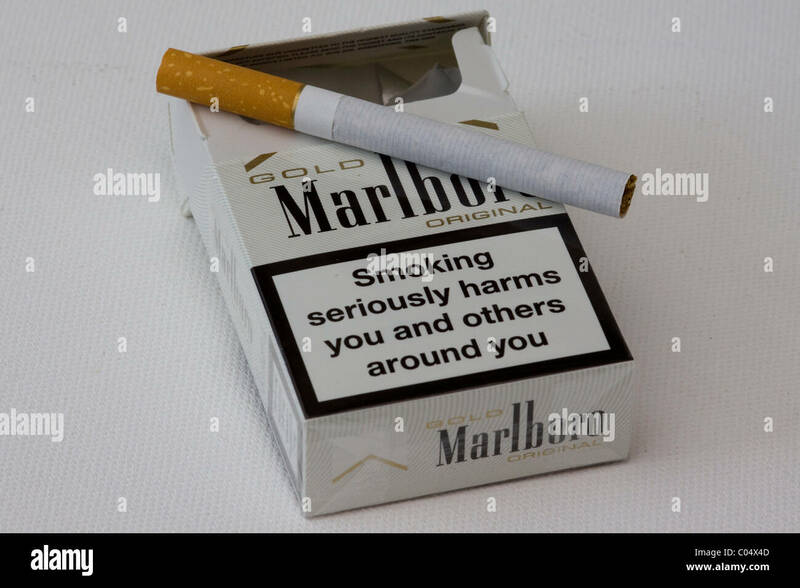 With government health warning. 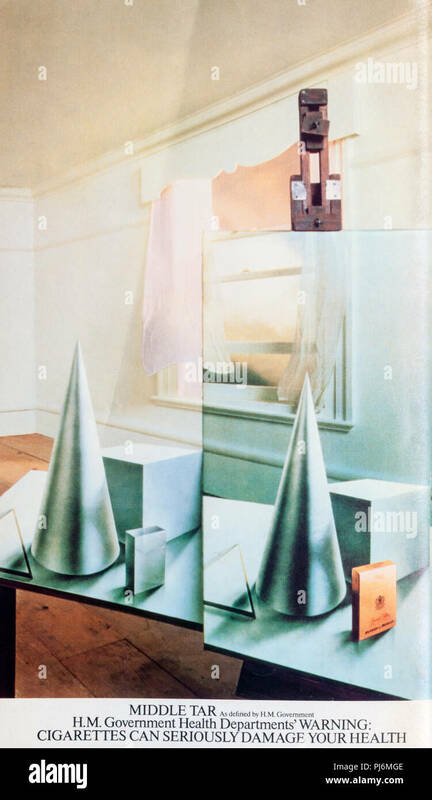 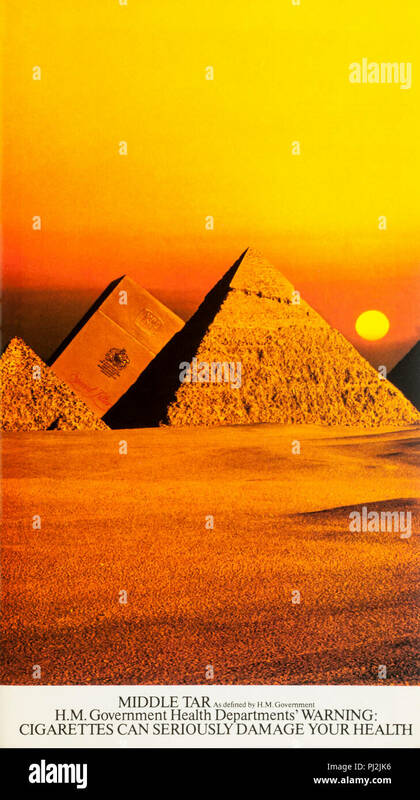 1970s advertisement advertising Benson and Hedges Special Filter cigarettes - pyramids. 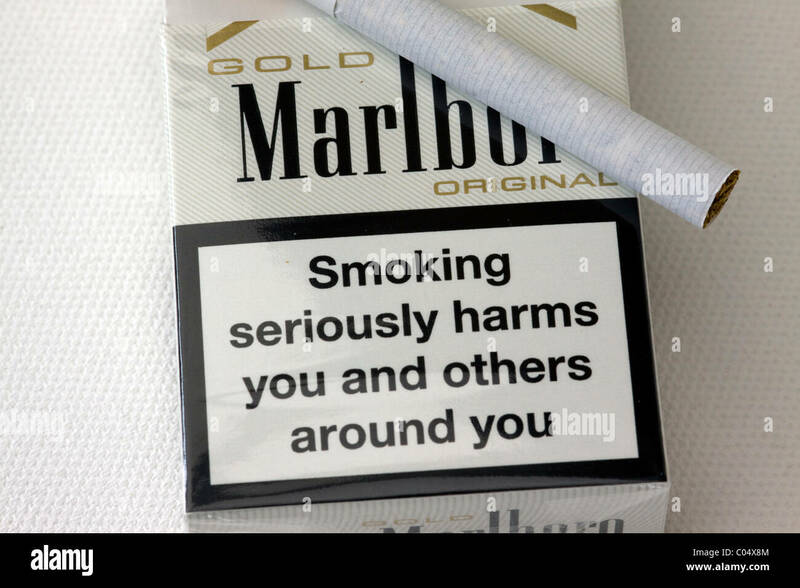 With government health warning. 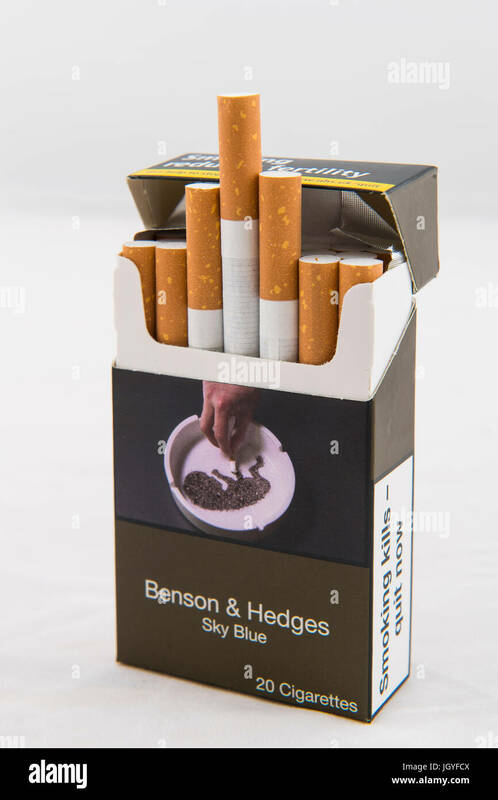 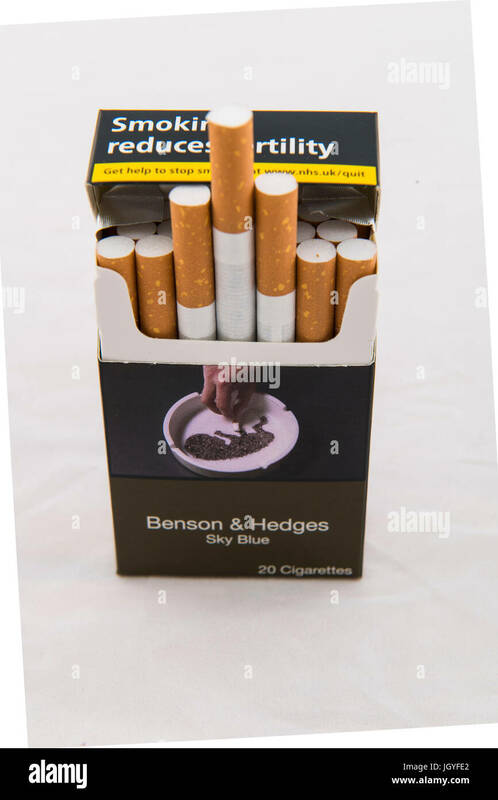 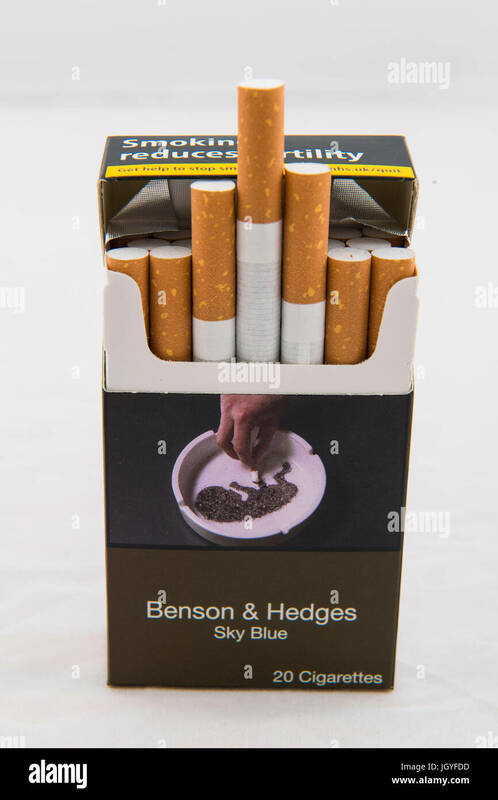 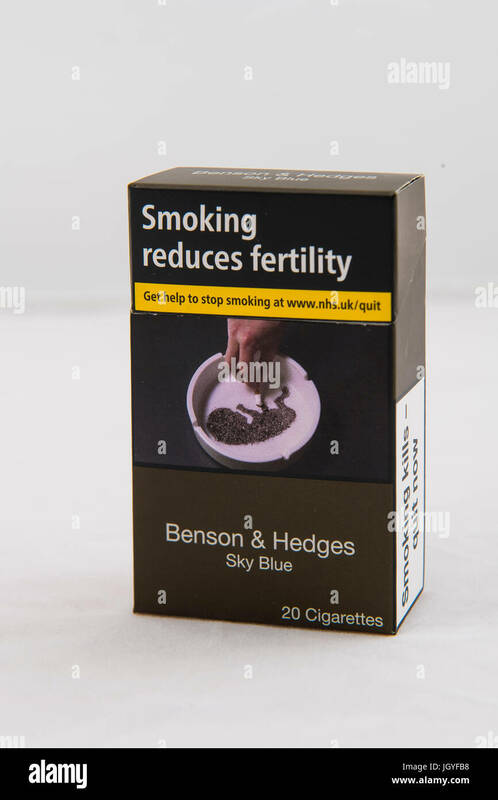 1980s advertisement advertising Benson and Hedges Special Filter cigarettes - milk bottles. 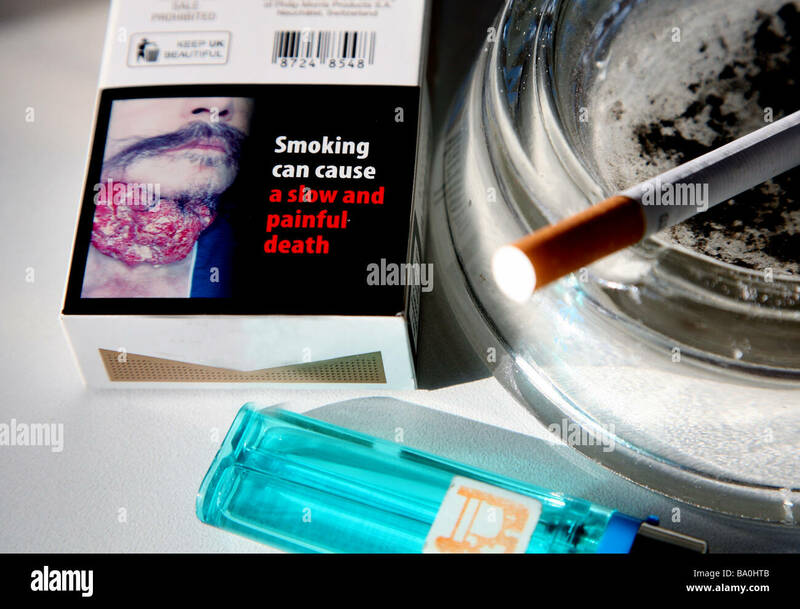 With government health warning. 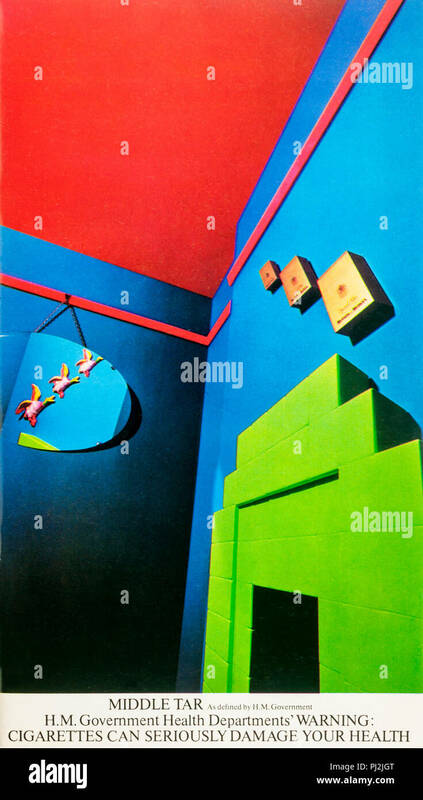 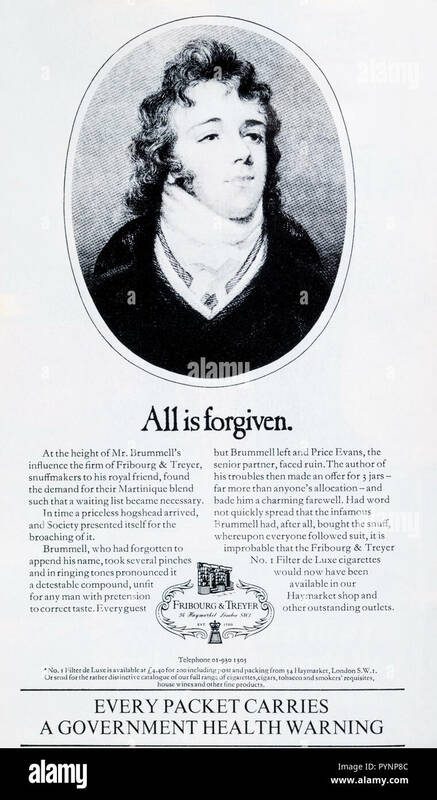 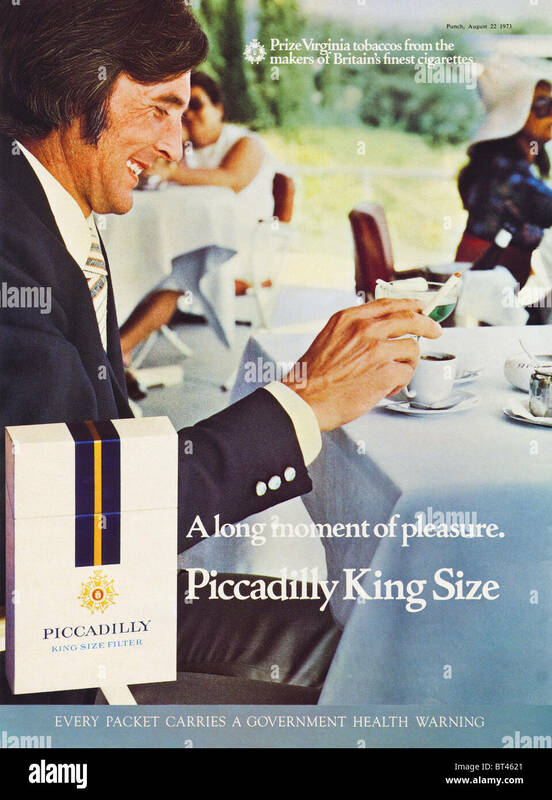 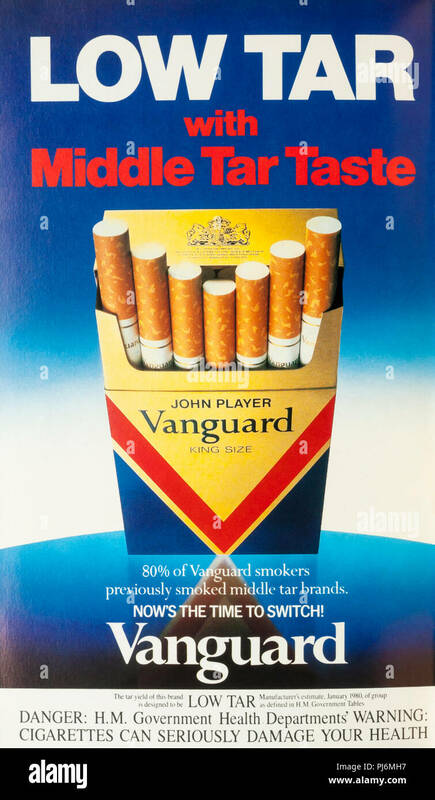 A 1974 advertisement for the cigarettes of Fribourg & Treyer sold from their shop in Haymarket, London. 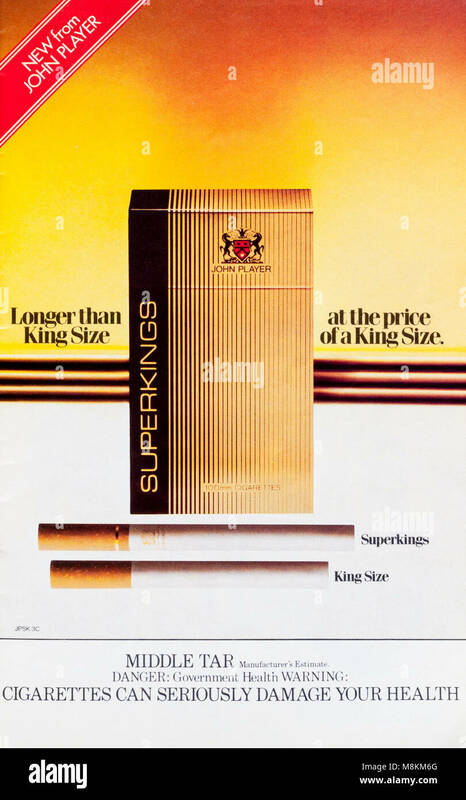 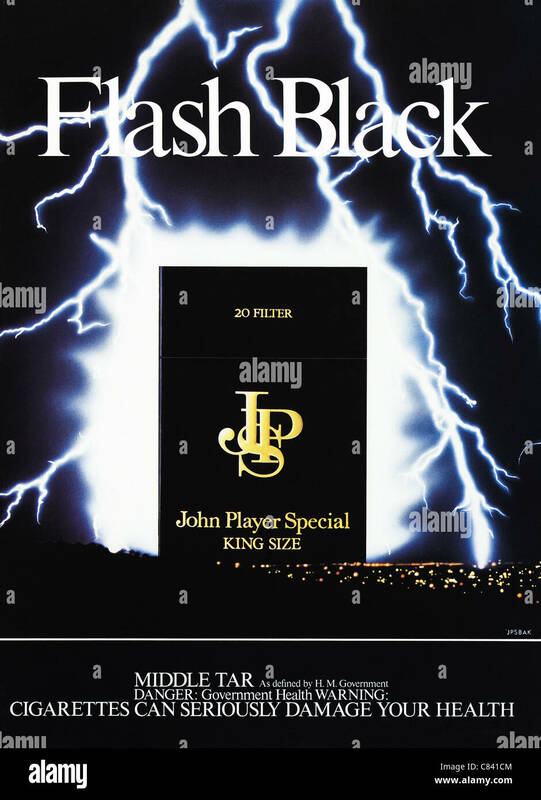 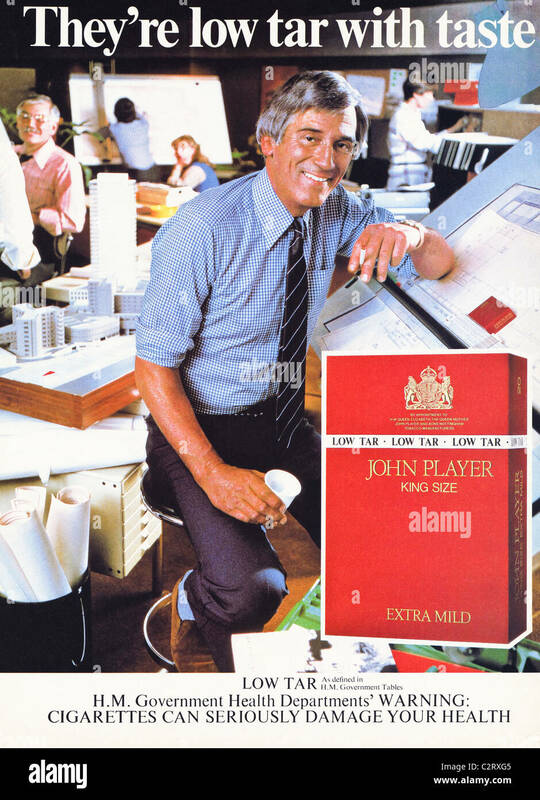 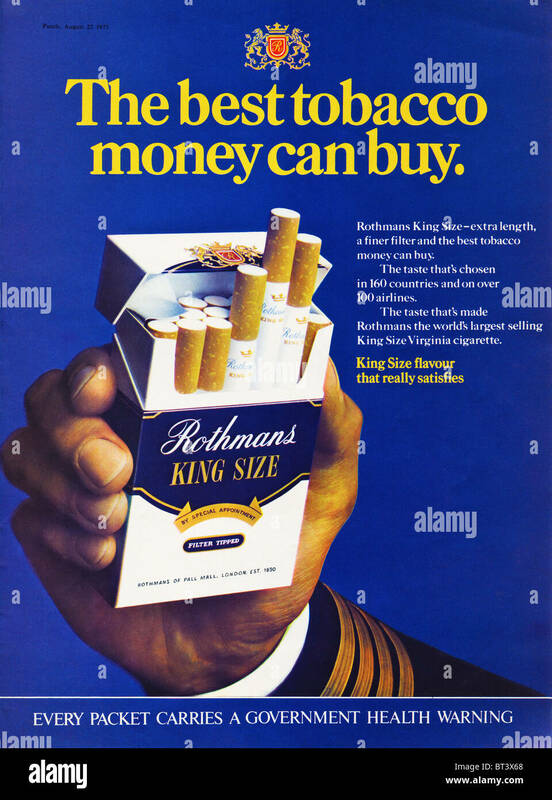 1980s advertisement advertising John Player Superkings cigarettes.